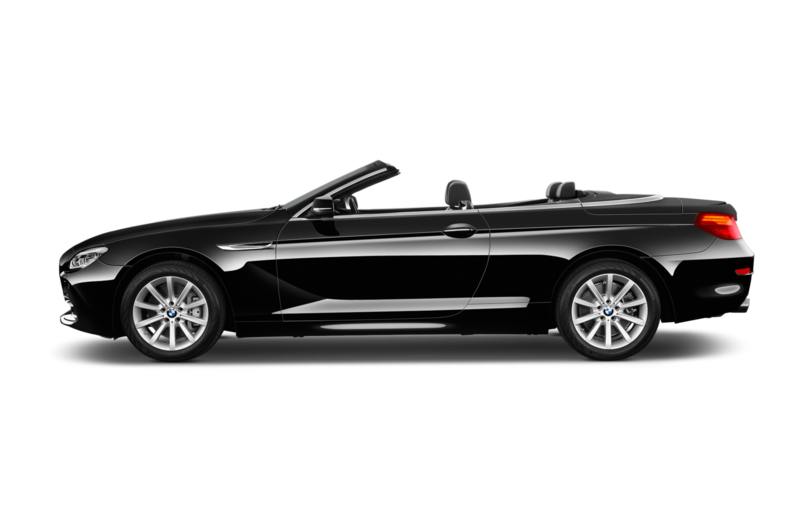 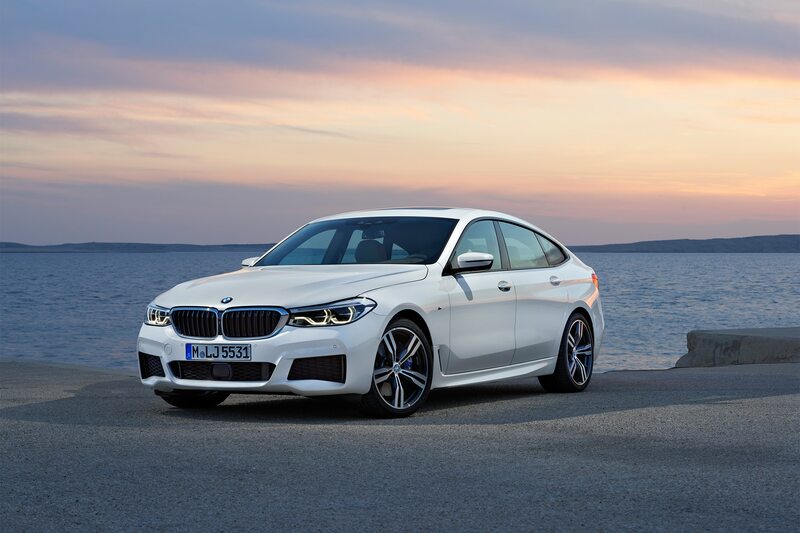 Conspicuously absent from the 2017 arrival of the G30 5 Series was any word of the alternative bodystyles BMW has recently become known for. 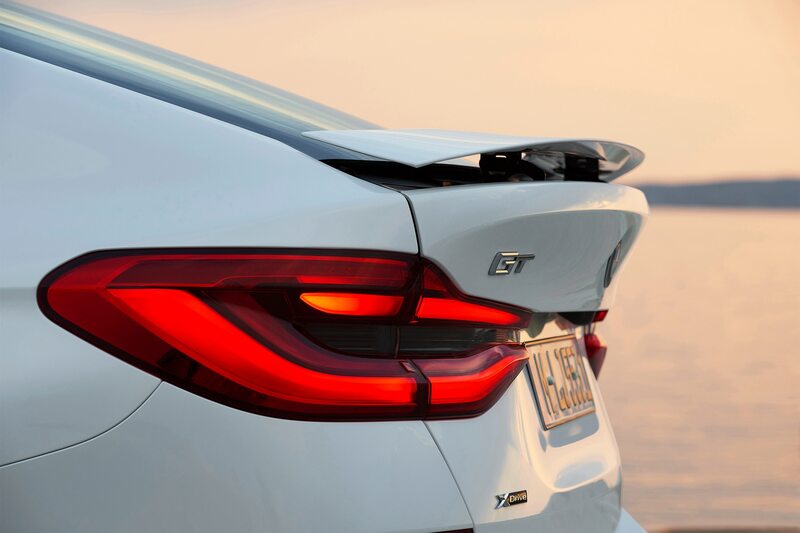 Now, following the announcement of the 2018 6 Series Gran Turismo, we know why. 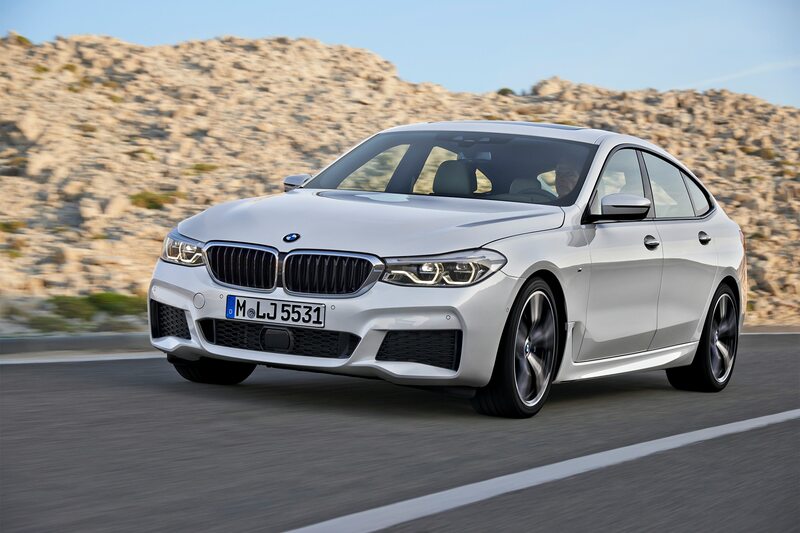 Billed by BMW as “all-new,” the 6 GT likely rides on a modified version of the G30 chassis, though its wheelbase is identical to that of its 5 Series Gran Turismo predecessor. 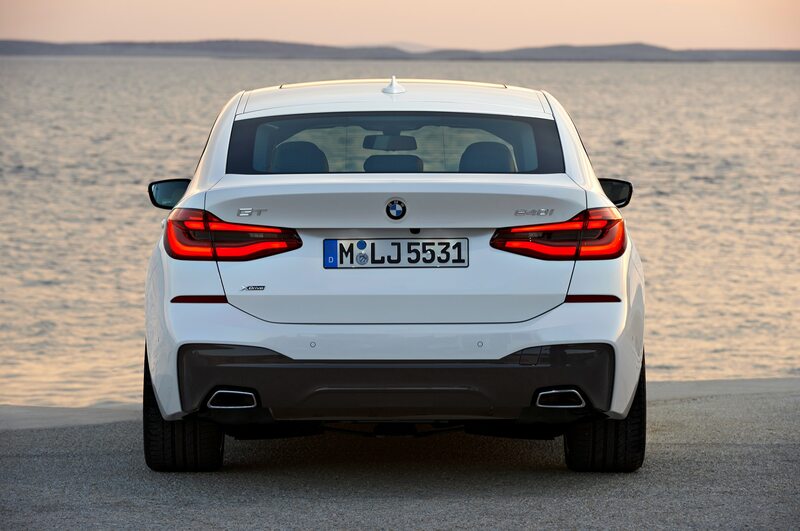 The 6 is 3.8-inches longer overall, however, but all other dimensions, inside and out, are within an inch. 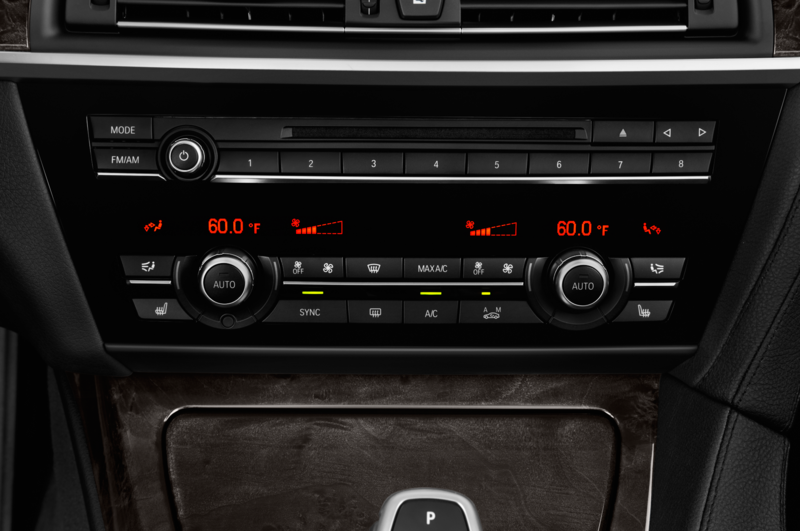 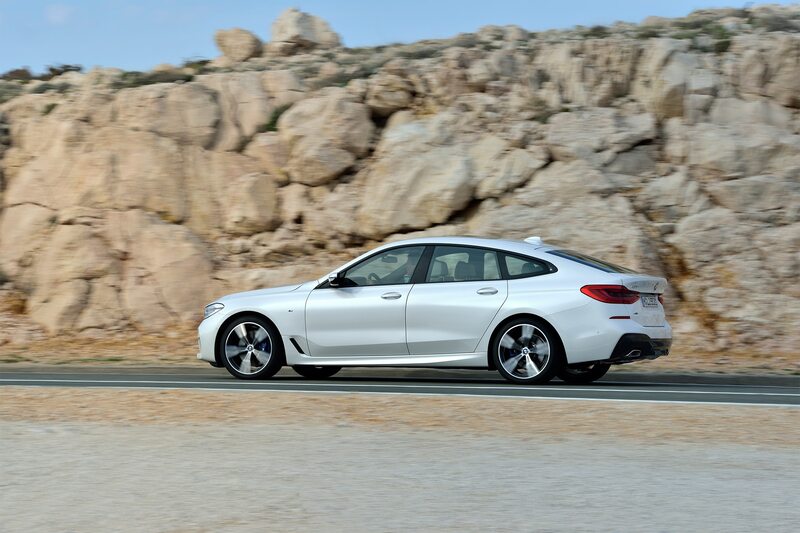 Only one flavor will be offered in the U.S.: the all-wheel-drive 640i xDrive. 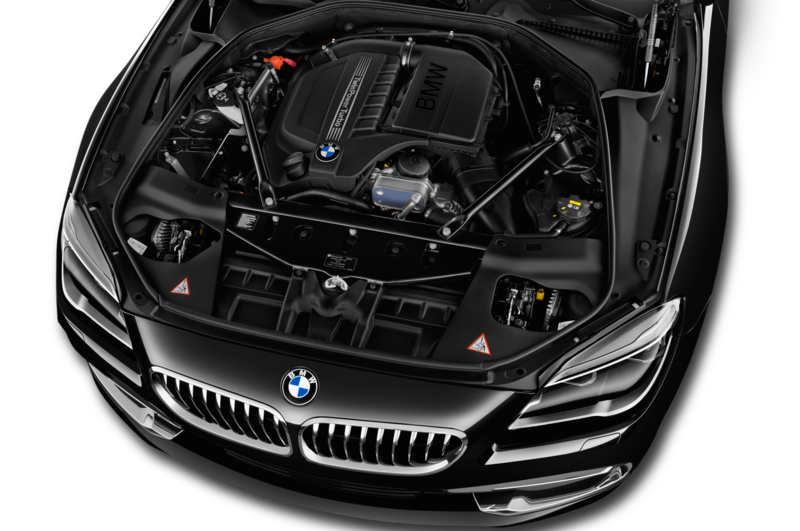 Powering it will be the B56 3.0-liter, twin-turbo I-6, tuned to make 335 hp and 332 lb-ft of torque — 35 hp and 332 lb-ft more than the 5 GT’s N55 unit. 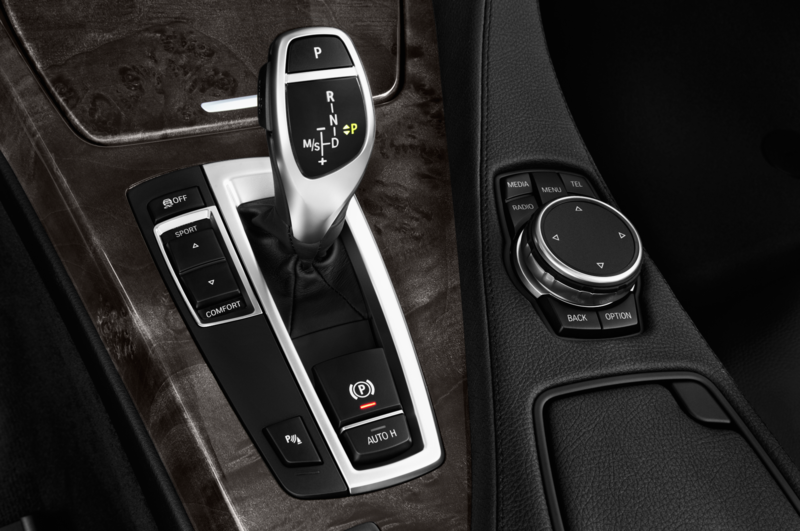 An 8-speed automatic with slightly taller gears handles transmission duties. 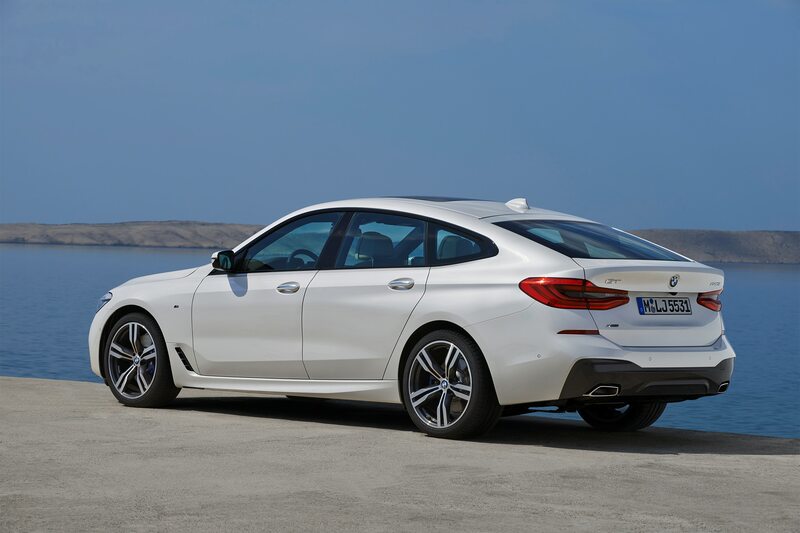 Despite its near identical size, the 4,409-lb 2018 640i GT weighs 221 lbs less than the all-wheel drive 535i GT and a whopping 531 lbs less than the V-8-powered 550i GT. 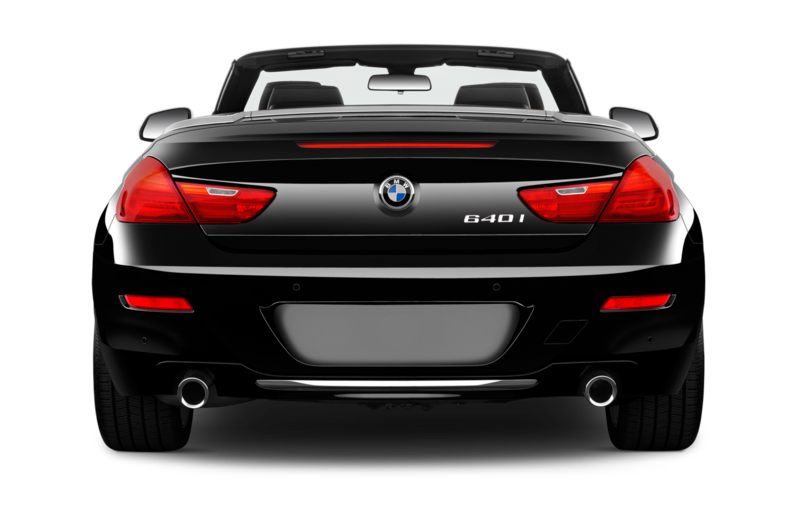 With a 51/49 weight distribution, the 6 is slightly more front heavy, but still balanced on the whole. 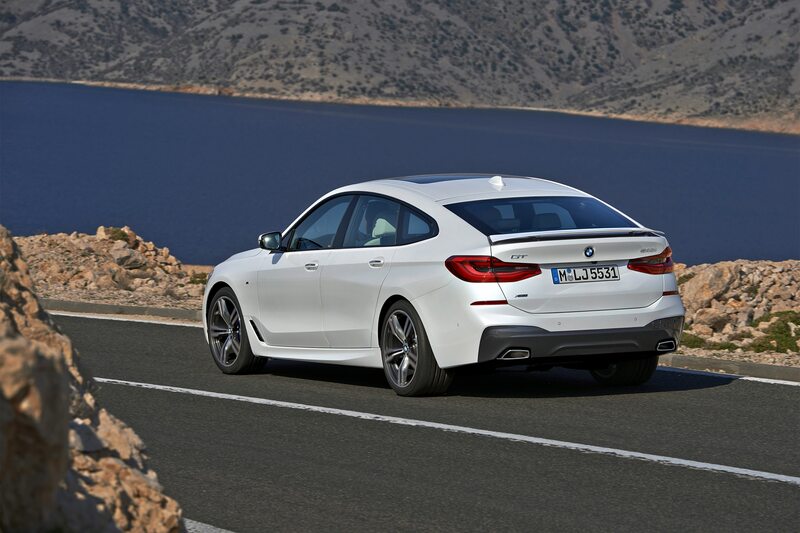 Those needing extra agility from their two-ton liftback can opt for the Dynamic Handling Package, which adds a two-axle adaptive suspension (a rear-axle-only air suspension is standard), adaptive steering system with four-wheel steering, active roll stabilization, and dynamic damper control. 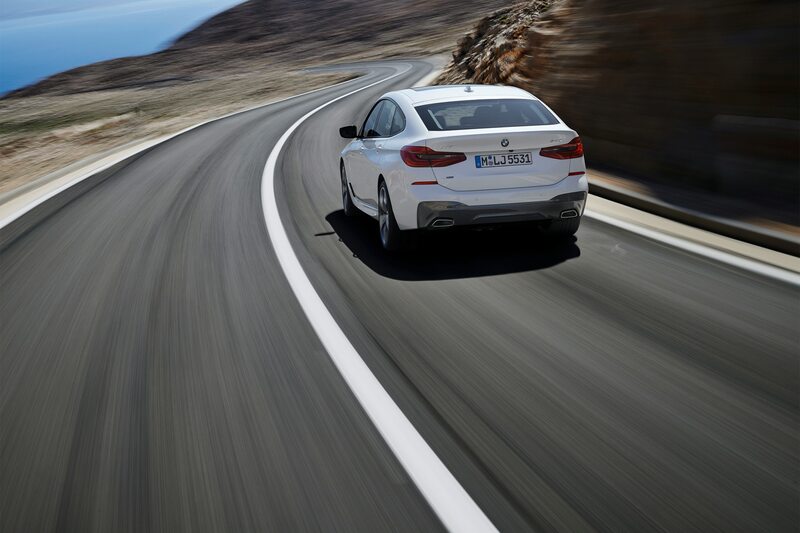 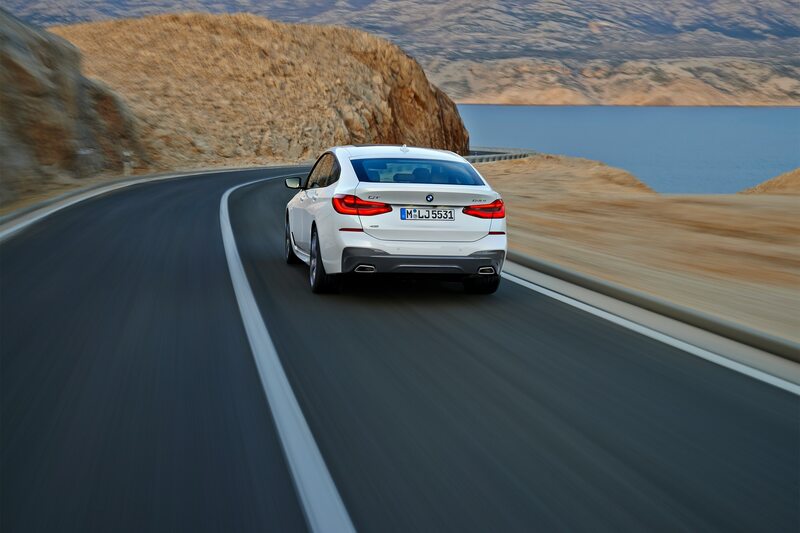 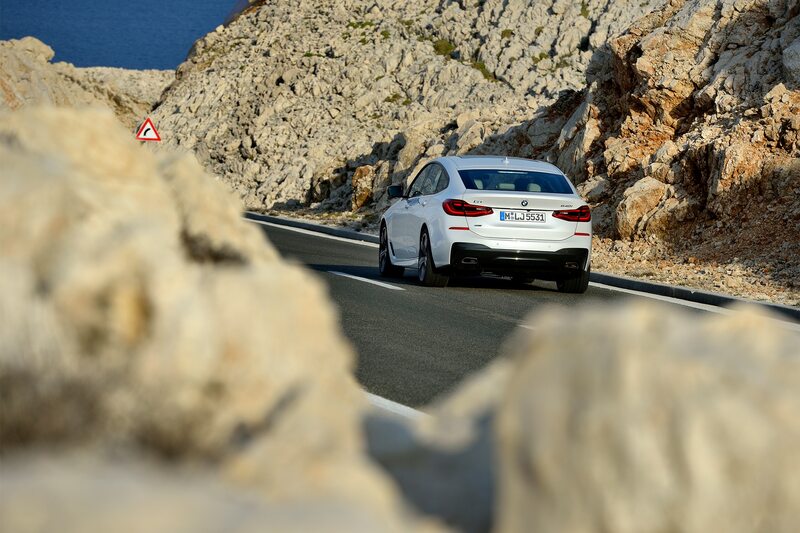 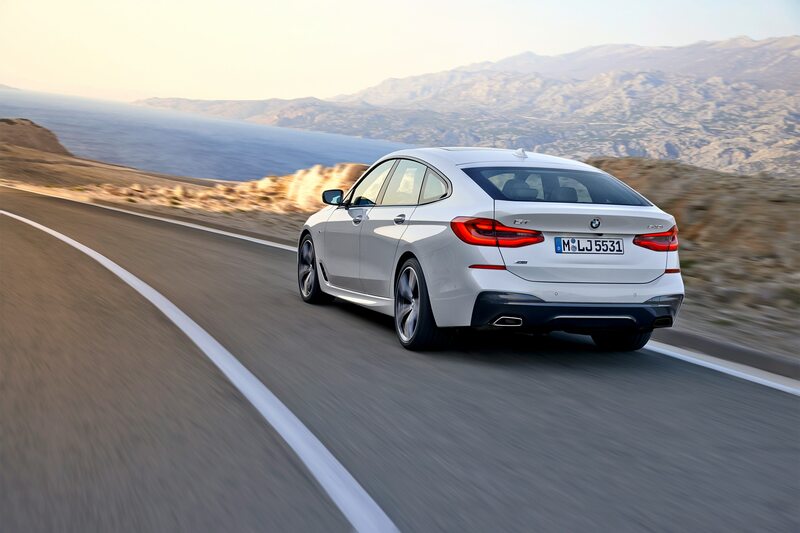 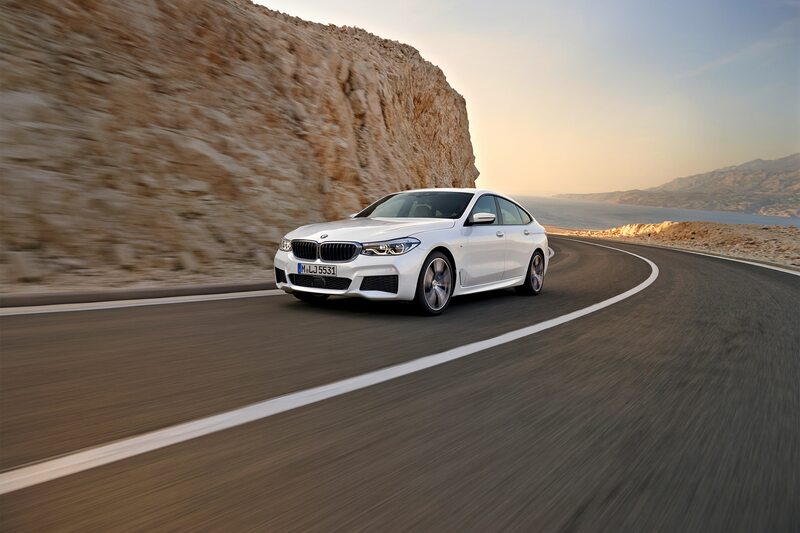 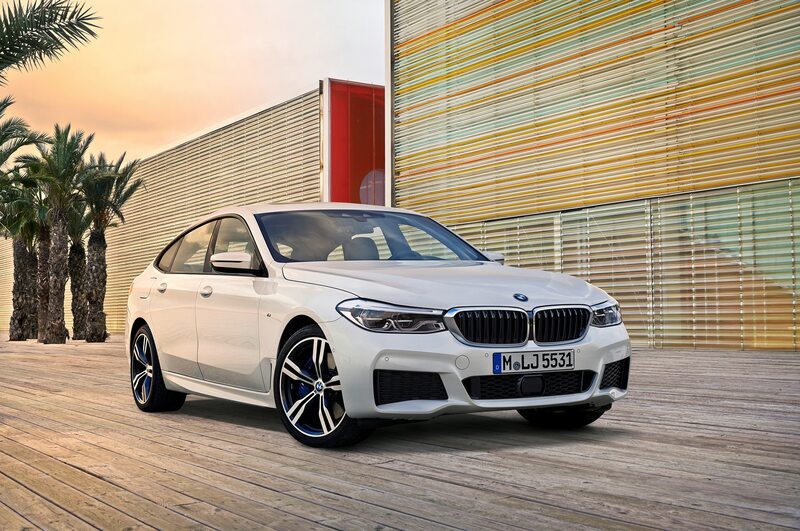 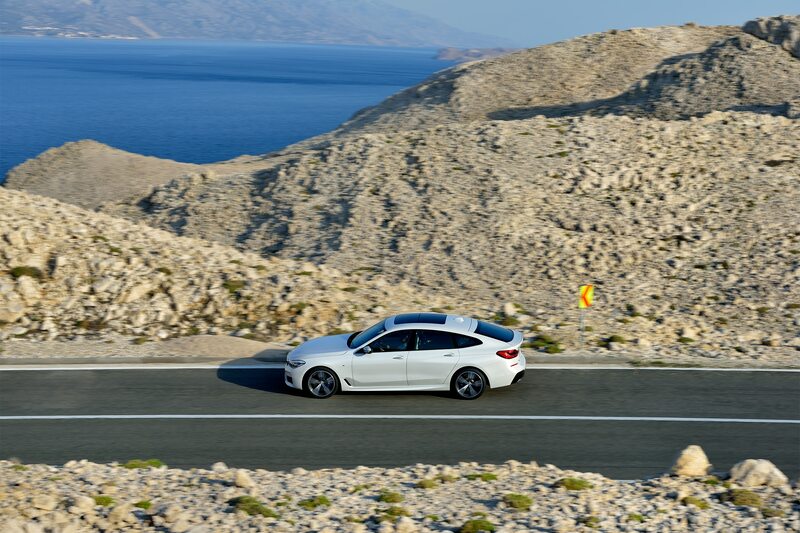 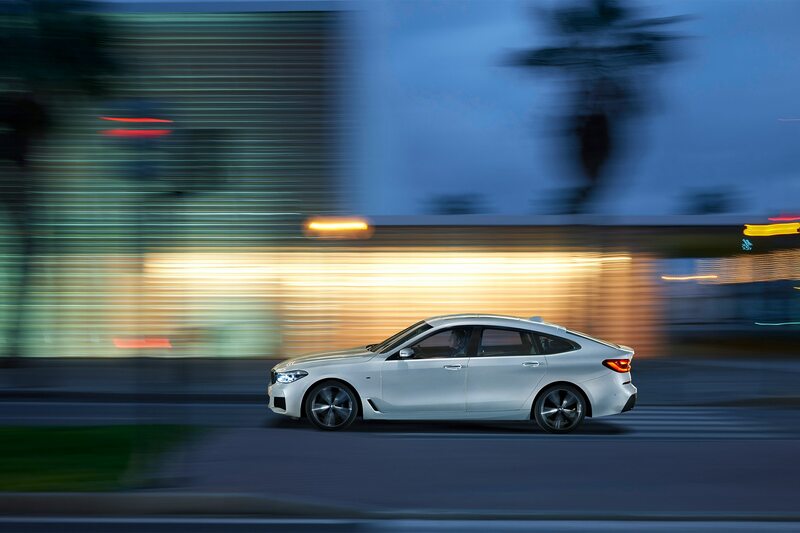 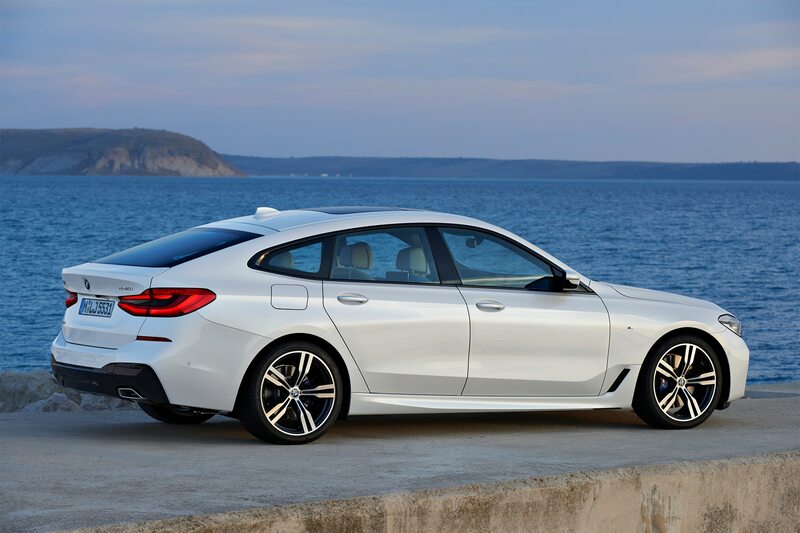 Between the extra power and removed weight, the new 640i GT is considerably quicker, with 60 mph coming in just 5.1 seconds. 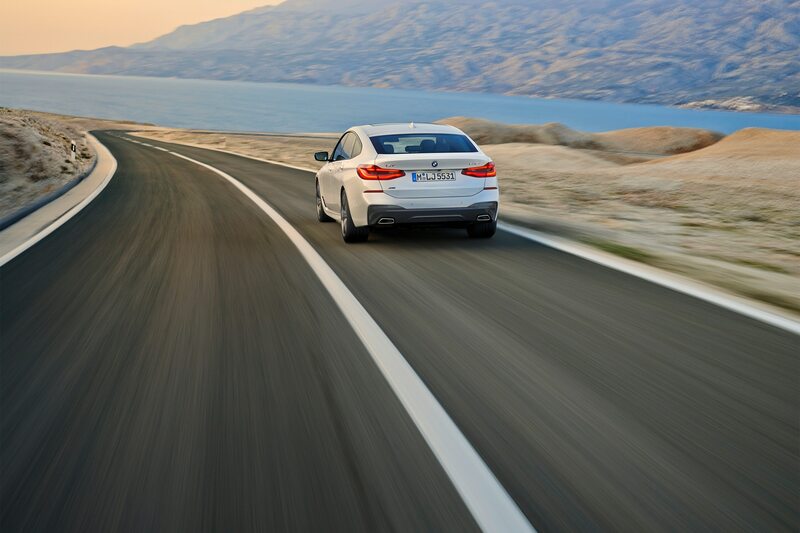 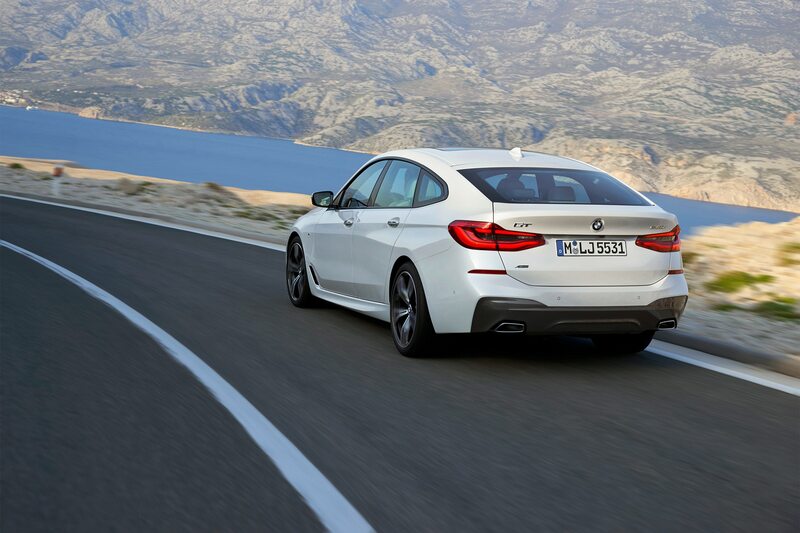 By comparison, the 535i GT needed 6.0 seconds flat, while the 445-hp 550i GT needed 4.7 seconds to get there. 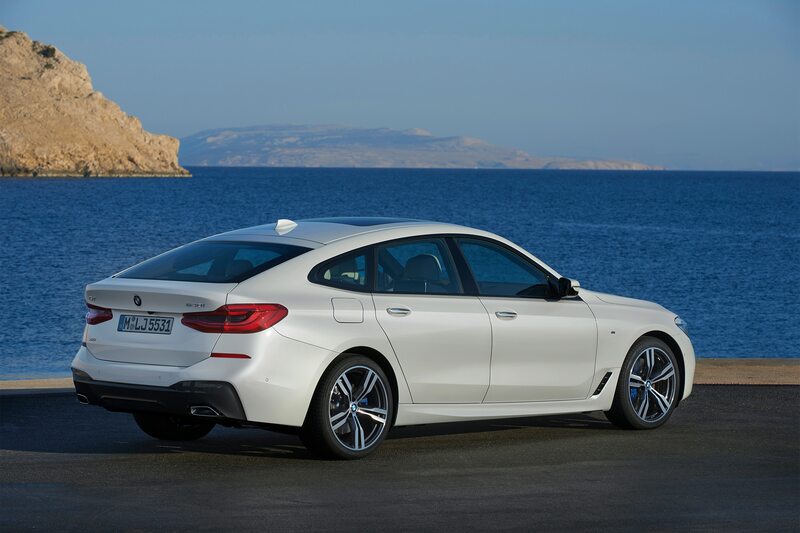 Fuel economy figures have not yet been announced, but shouldn’t be substantially different from the 20/29 mpg city/highway rating carried by the 2017 540i xDrive sedan, which uses the same powertrain. 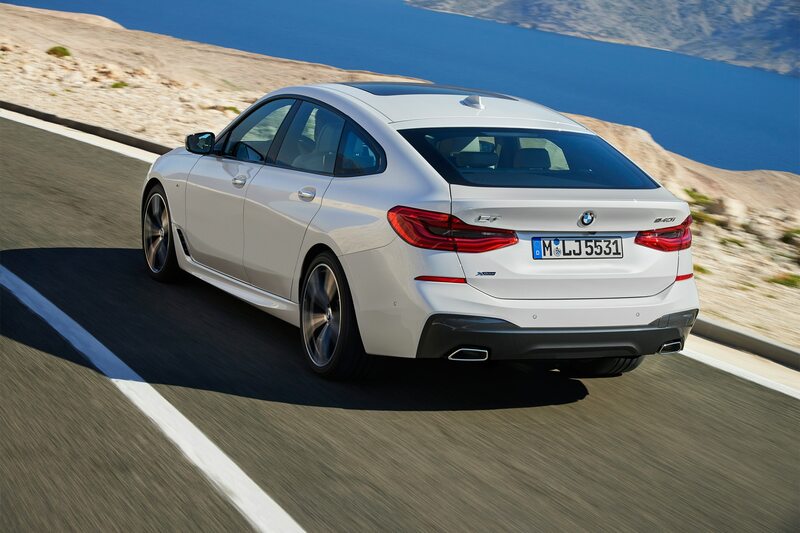 The 535i GT, by comparison, achieved 18/26 mpg city/highway. 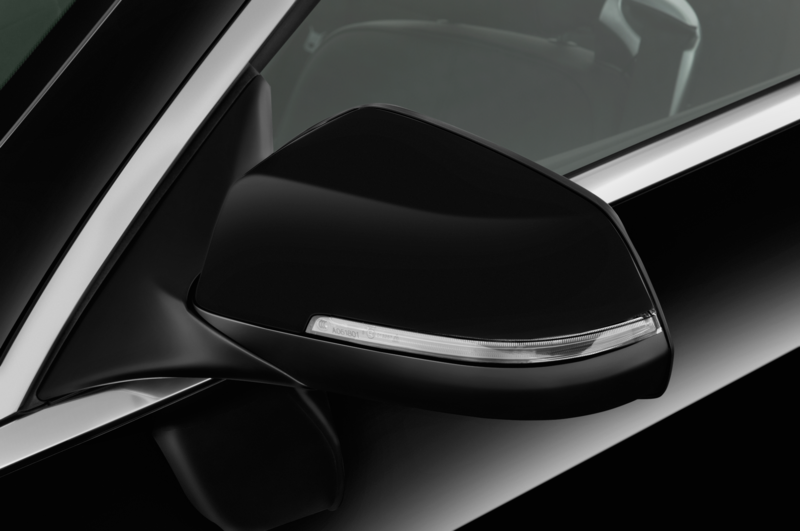 Matters improve substantially on the visual front as well. 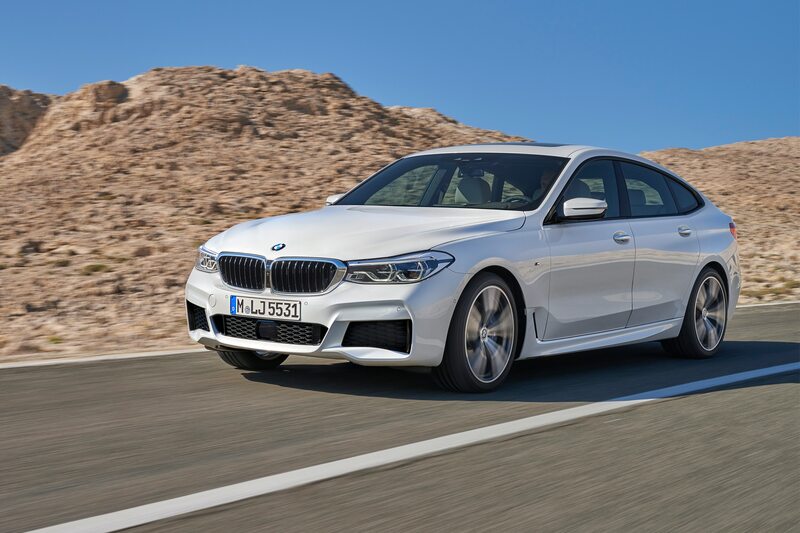 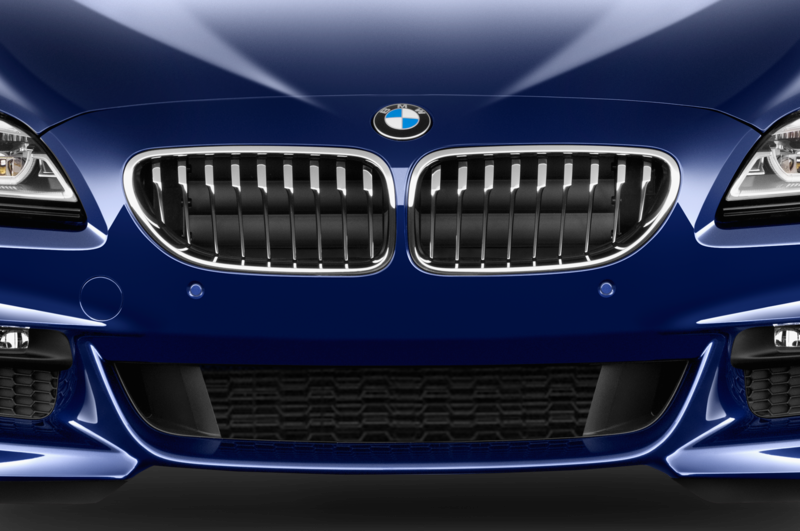 The 5 GT’s awkward proportions make way for much more pleasing sheetmetal, aided by the 1.0-inch reduction in height, the wider grille and headlamp design borrowed from the G30 5, new sideskirts, and a lower, swoopier decklid. 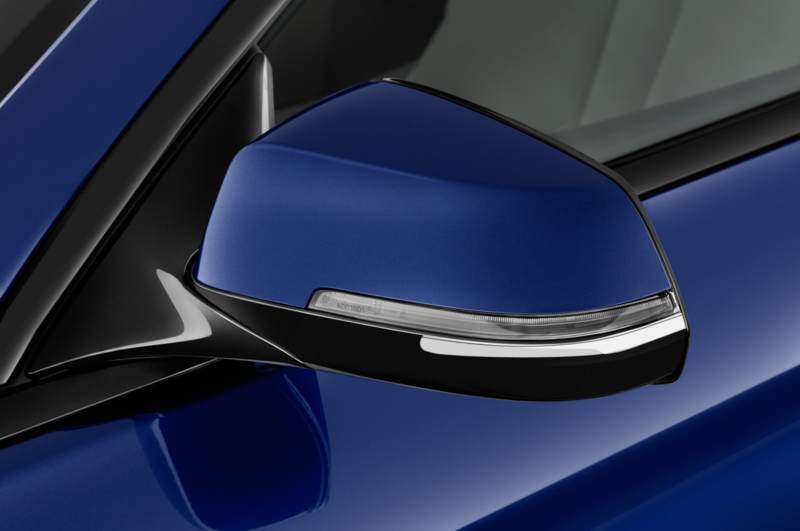 12 exterior colors will be on offer with three wheel choices in two sizes (19- and 20-inch), with 21-inch wheels available from the accessory catalog. 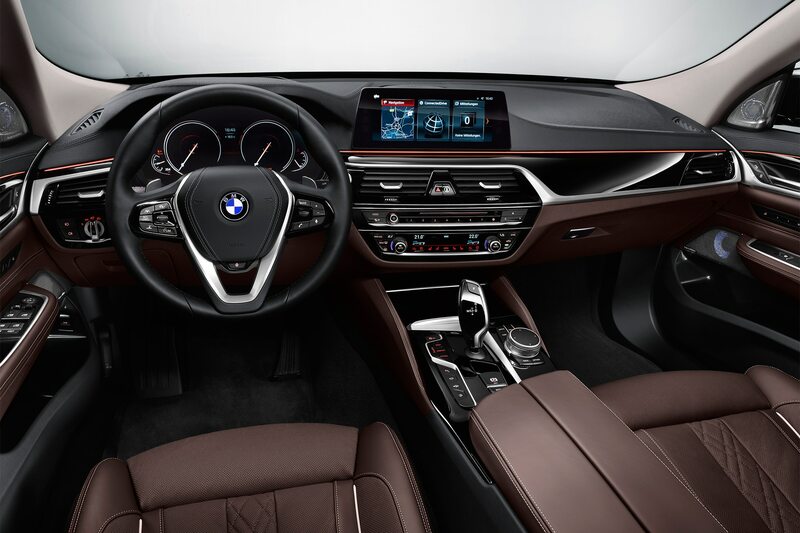 Inside is the same cockpit that’s found in the new 5. 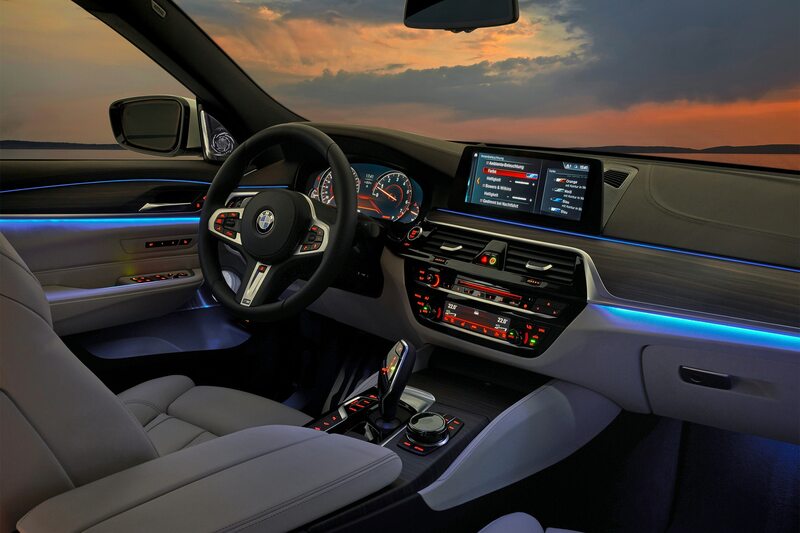 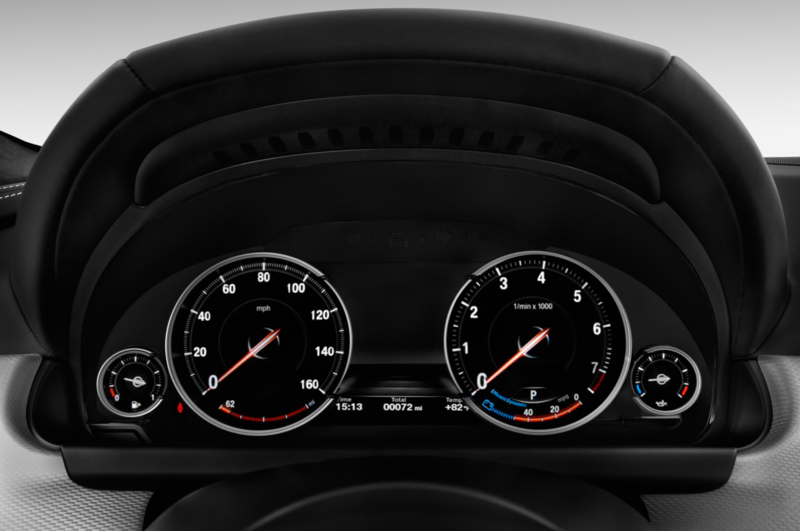 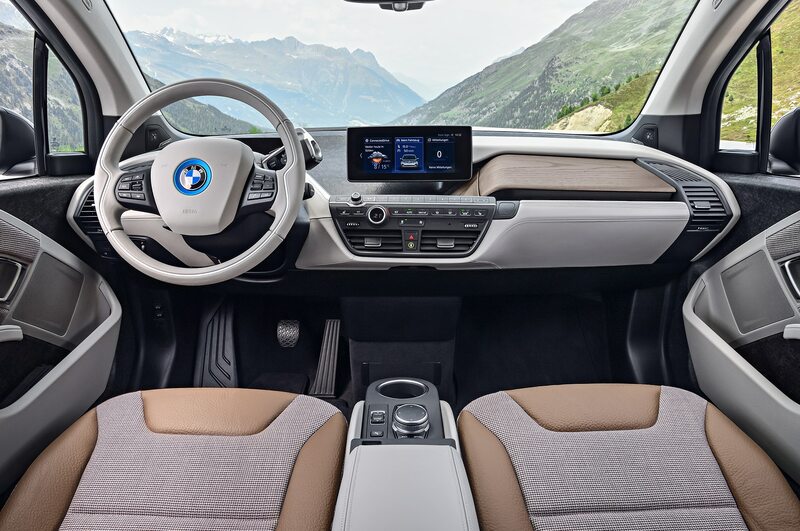 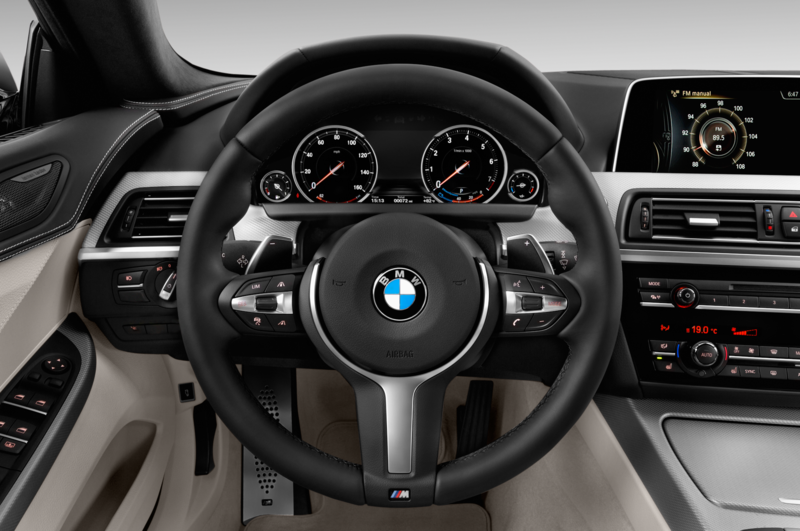 Among other details, it features the same three-spoke steering wheel, 10.25-inch screen, head-up display, and driver-angled center console. 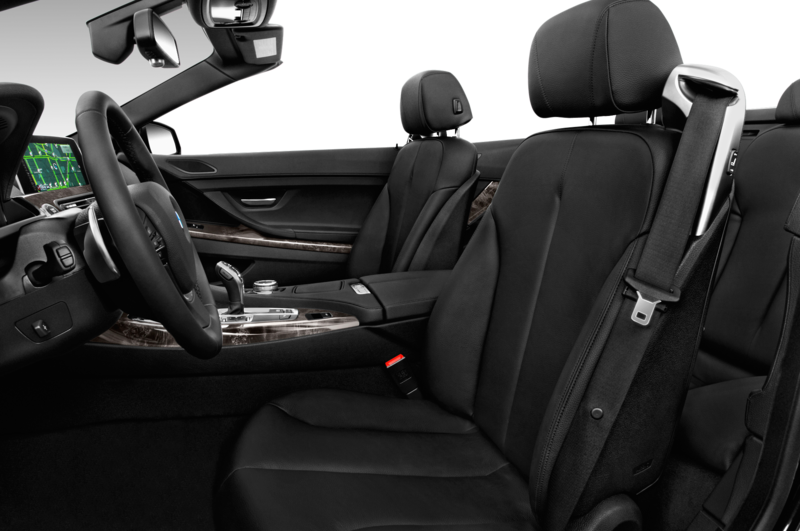 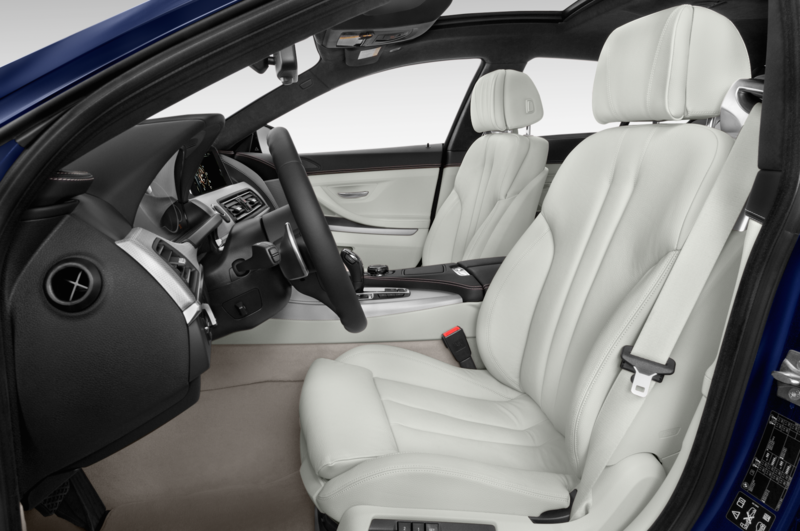 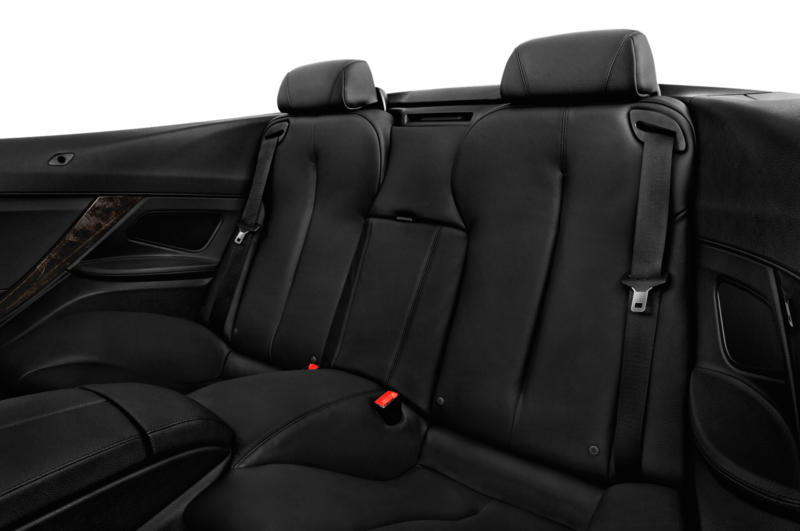 Sports seats wrapped in Dakota leather with power adjustable side bolsters are standard, as is a panoramic sunroof, while Nappa leather is offered as an option. 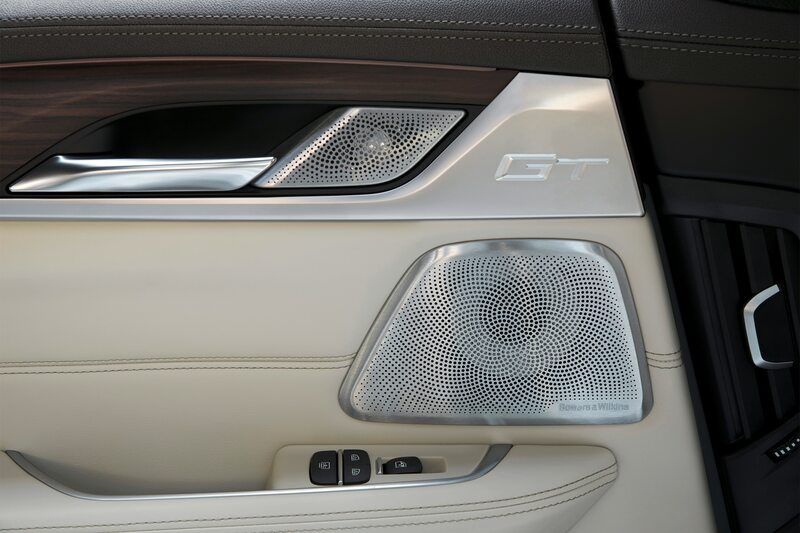 Also available is a 16-speaker Bowers & Wilkins premium audio system that will massage (or violently assault, depending on your musical tastes) your ears with 1,400 watts of power. 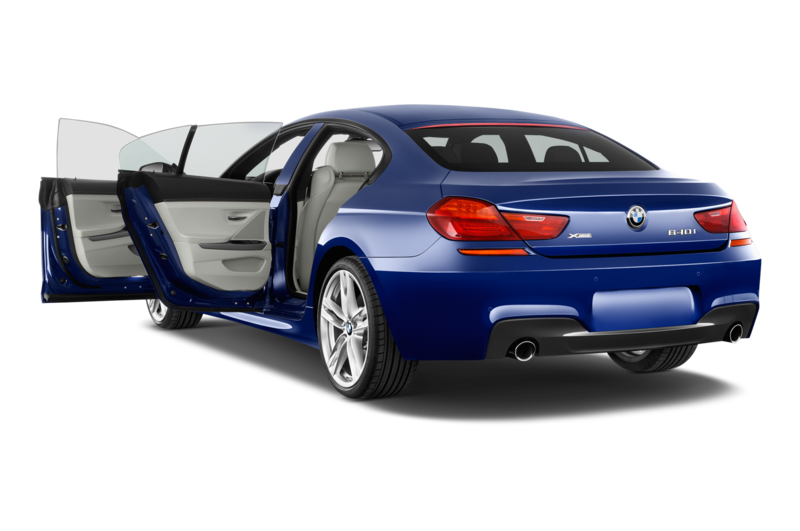 Additional pizzazz is on offer via two packages. 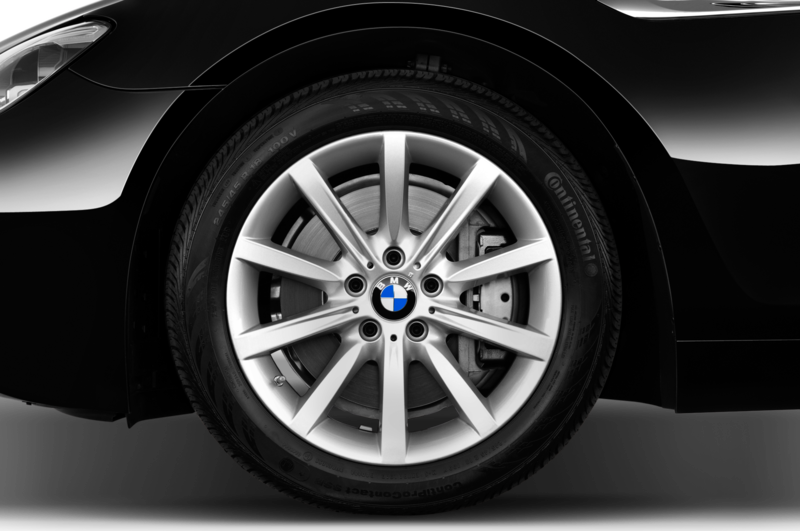 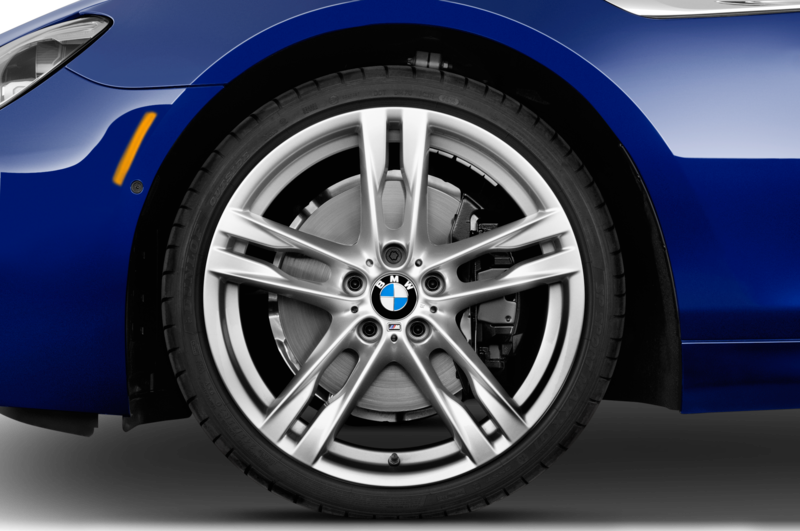 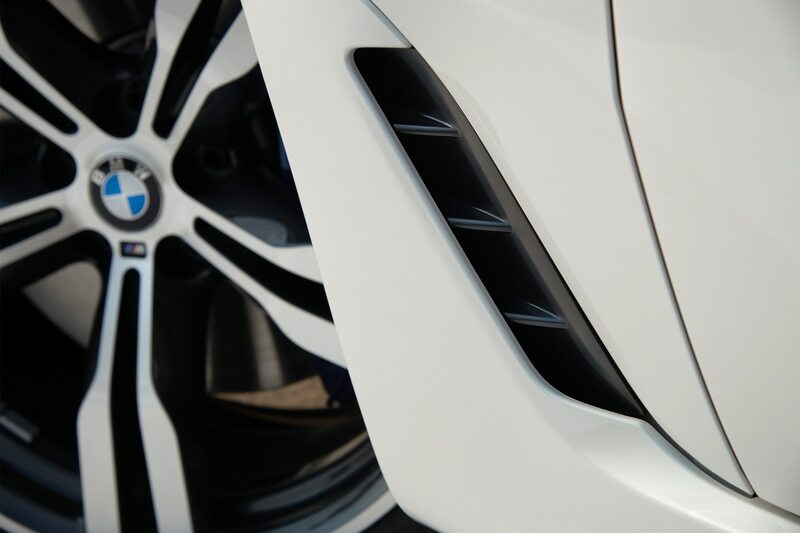 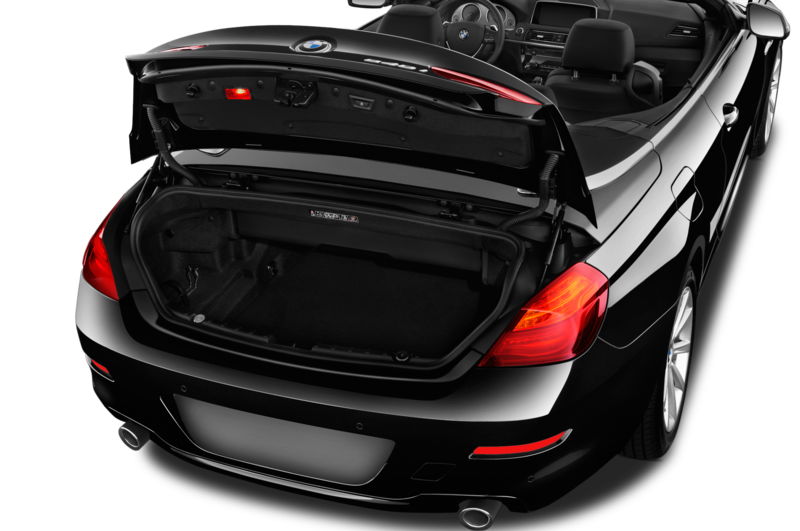 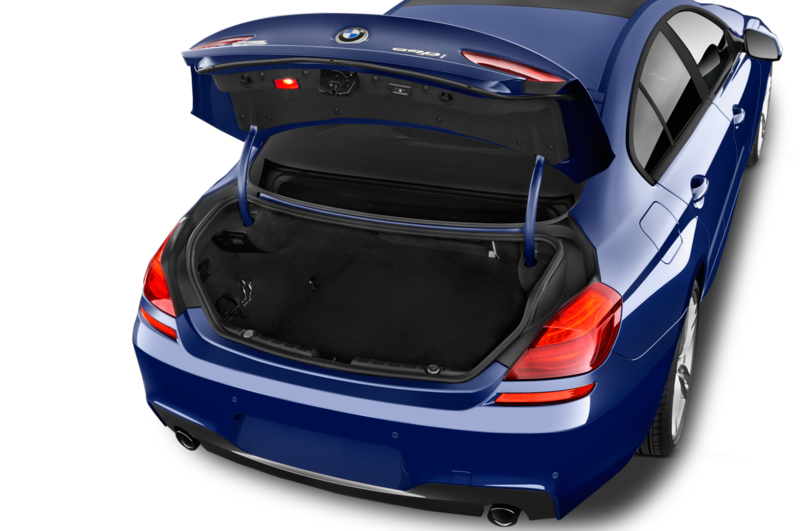 For the sporting-oriented, the obligatory M Sport package adds 19-inch M wheels that can be upgraded to 20s, a body kit, M steering wheel, and aluminum pedals. 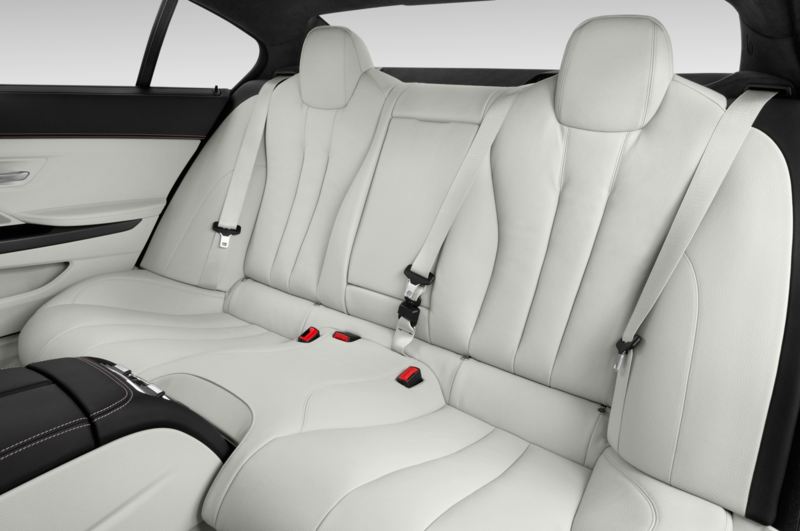 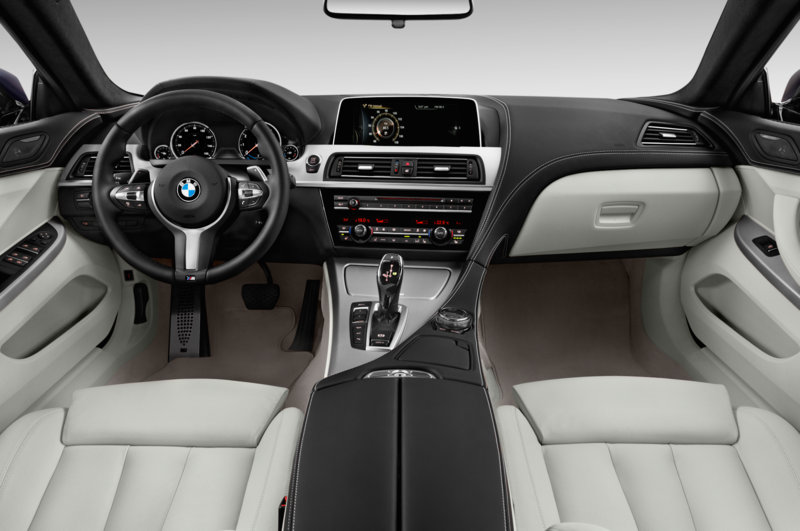 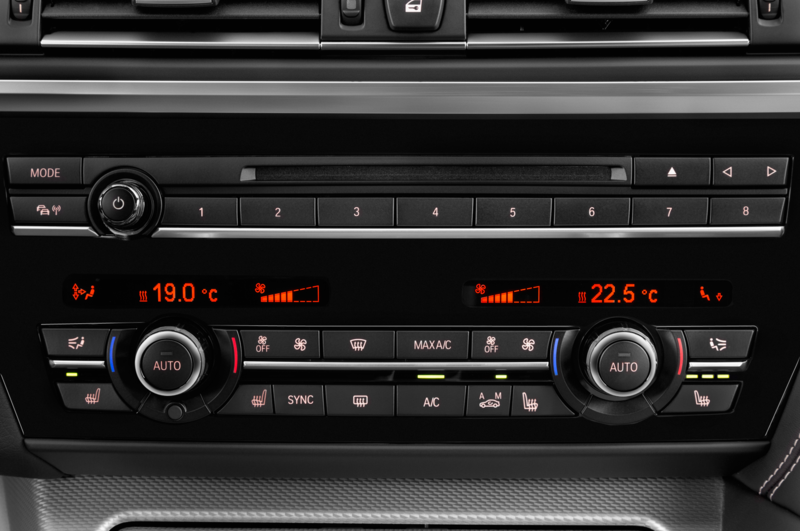 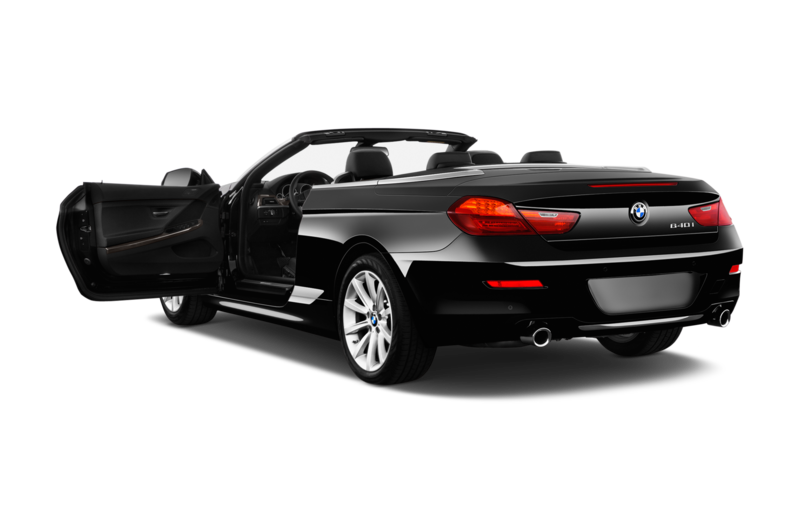 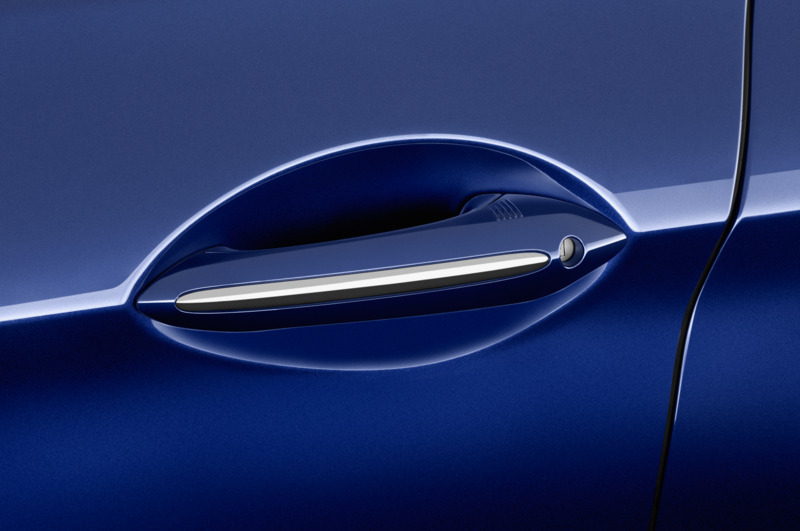 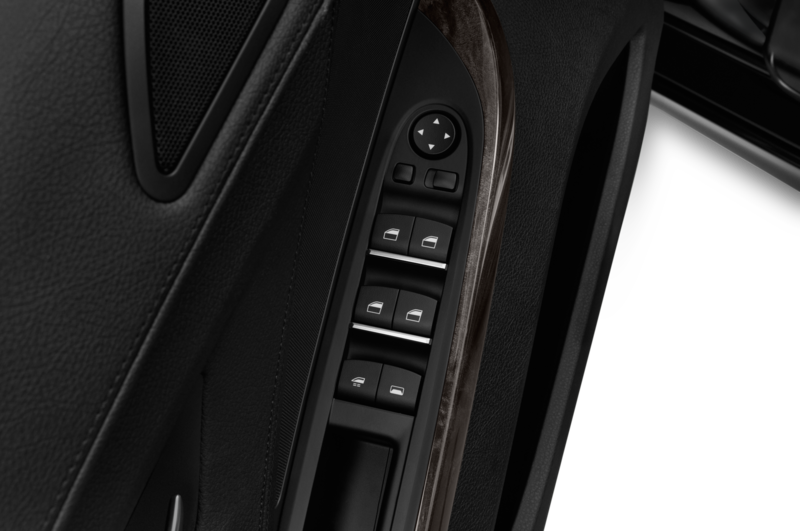 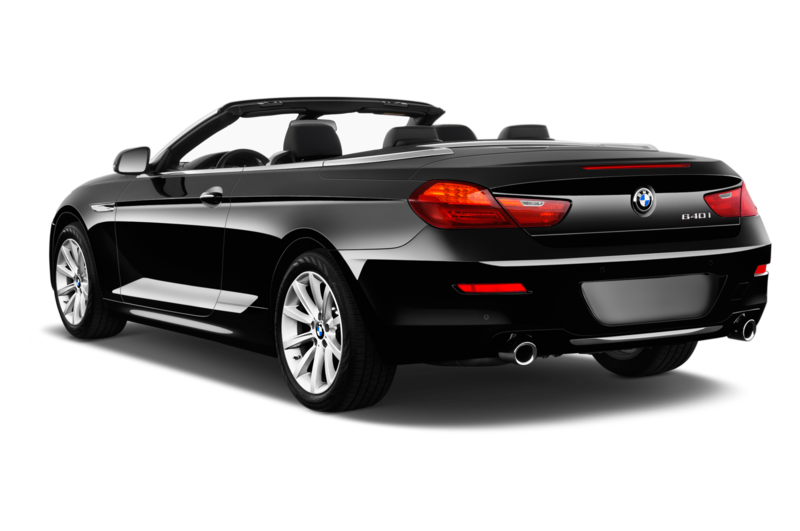 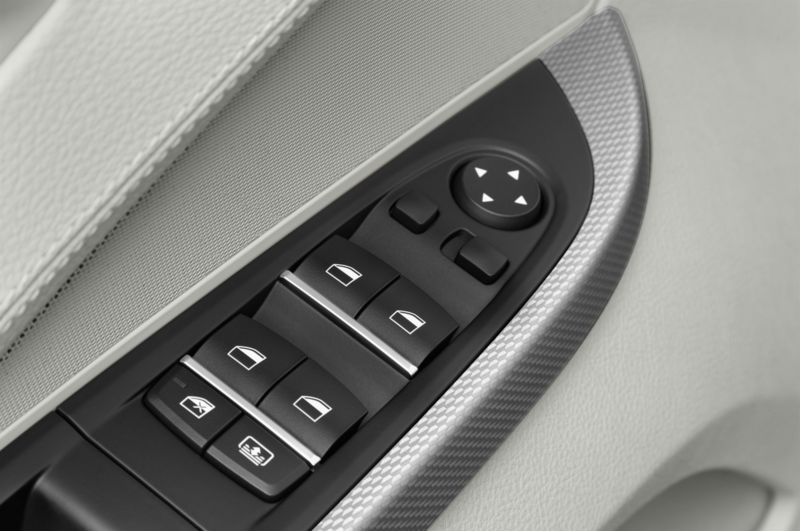 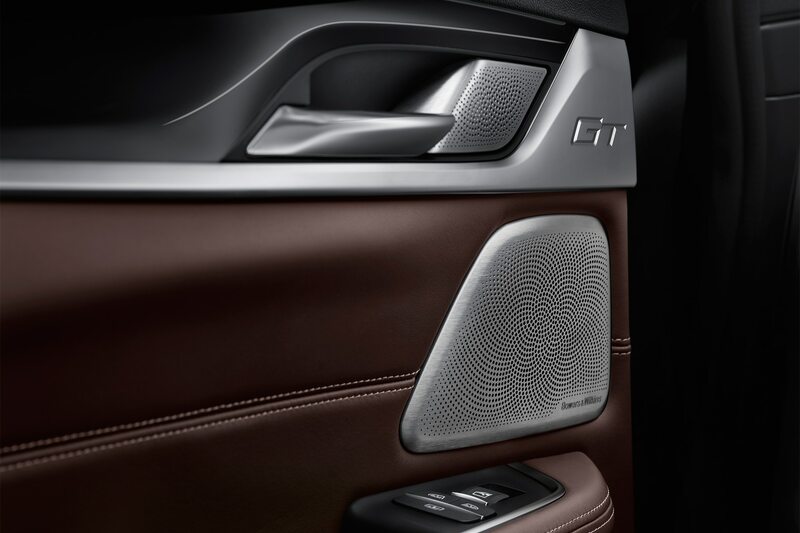 Those in need of more style can select the the Luxury Package, which adds chrome trim and a power-adjustable rear seat. 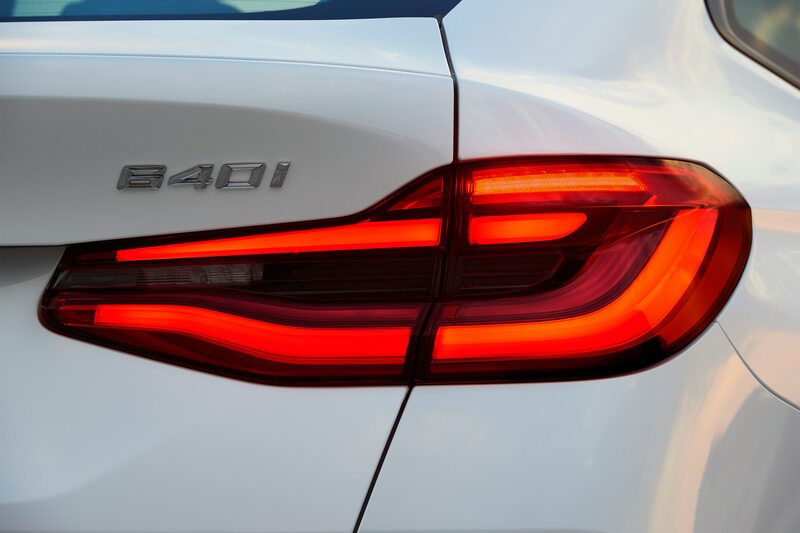 Last but not least, the 2018 640i serves as the launchpoint for BMW’s new name for its driver assist suite: Active Driving Assistant. 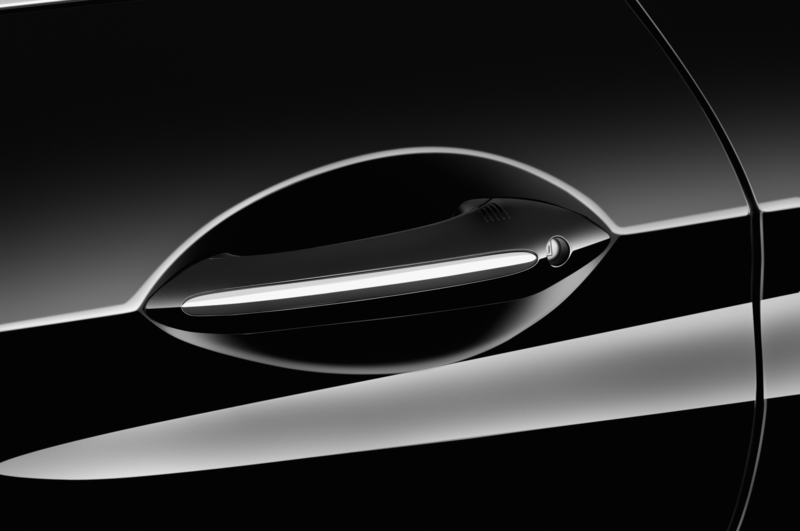 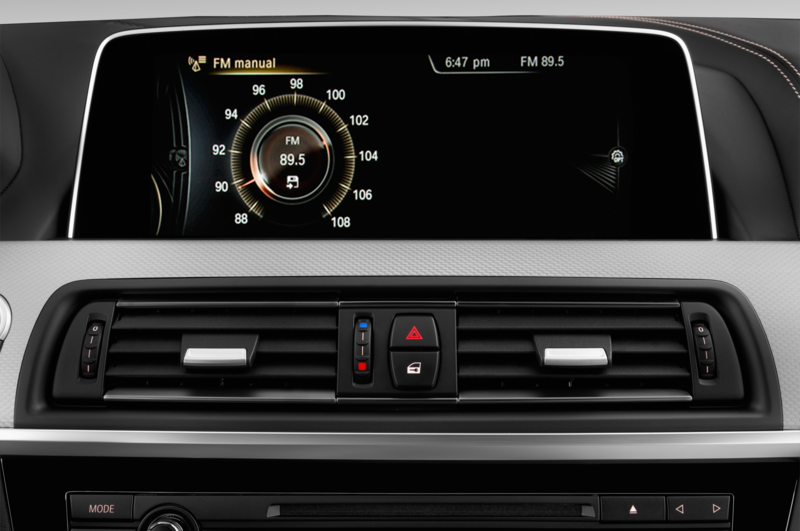 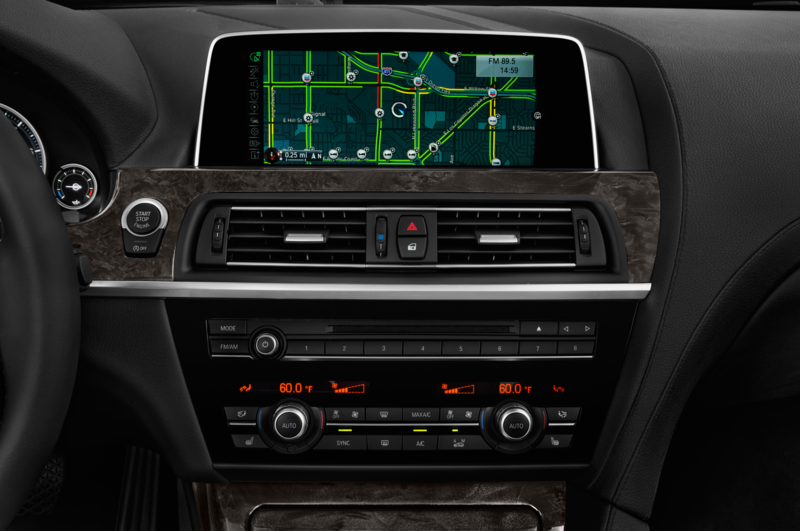 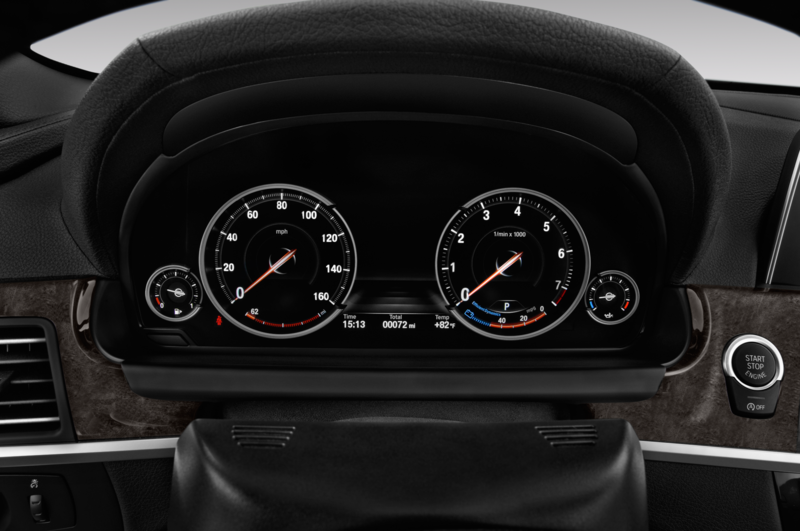 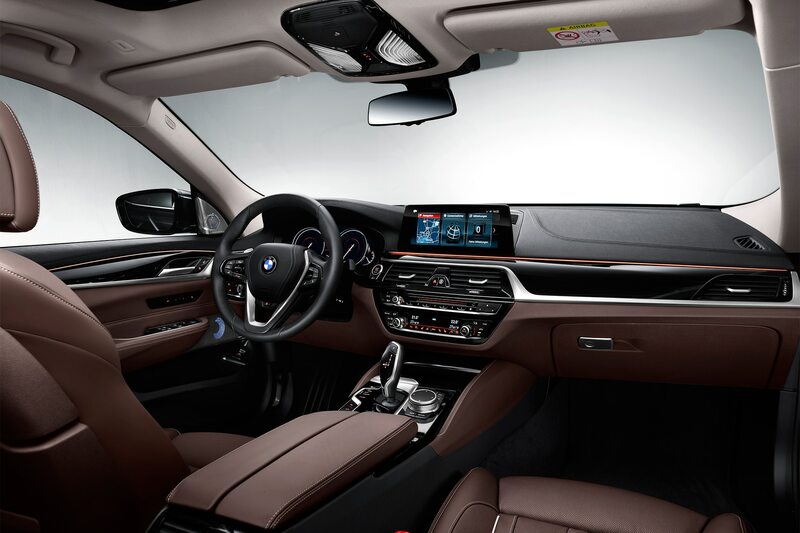 Standard on the car are blind spot monitoring, lane departure warning, pedestrian detection, front collision warning, and rear cross-traffic alert systems. 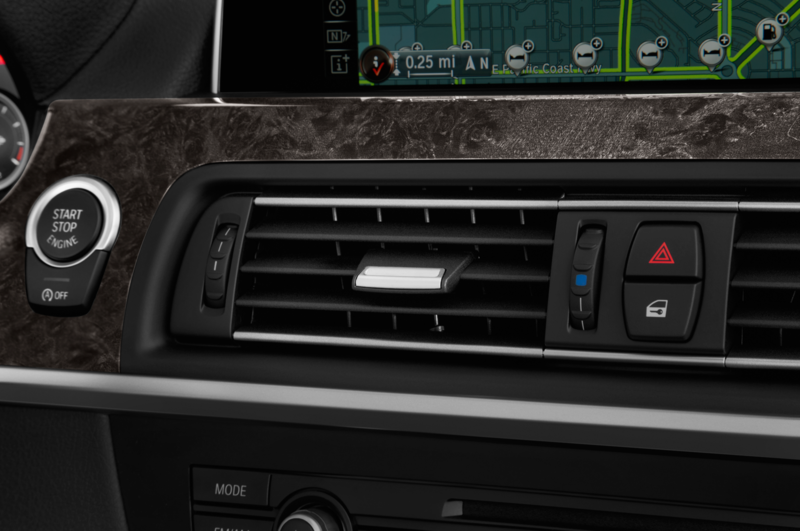 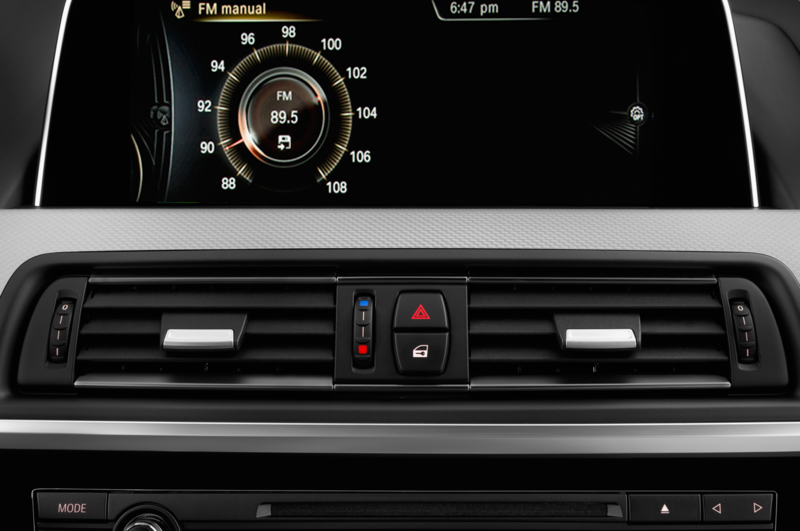 Adaptive cruise control, lane keep assist, and front cross-traffic alert systems can be added via the optional Driving Assistant Plus Package. 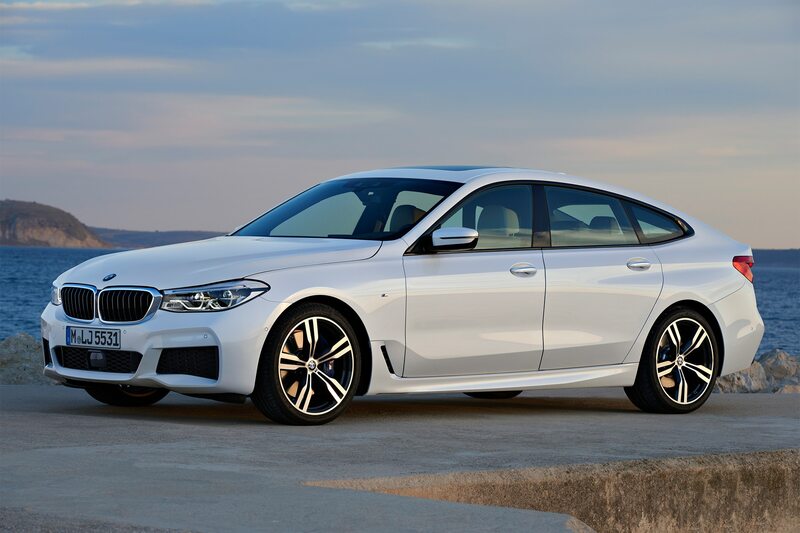 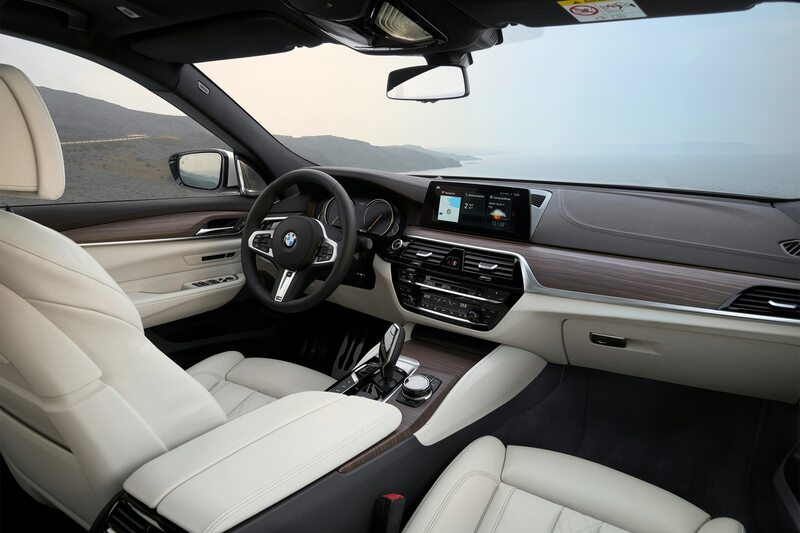 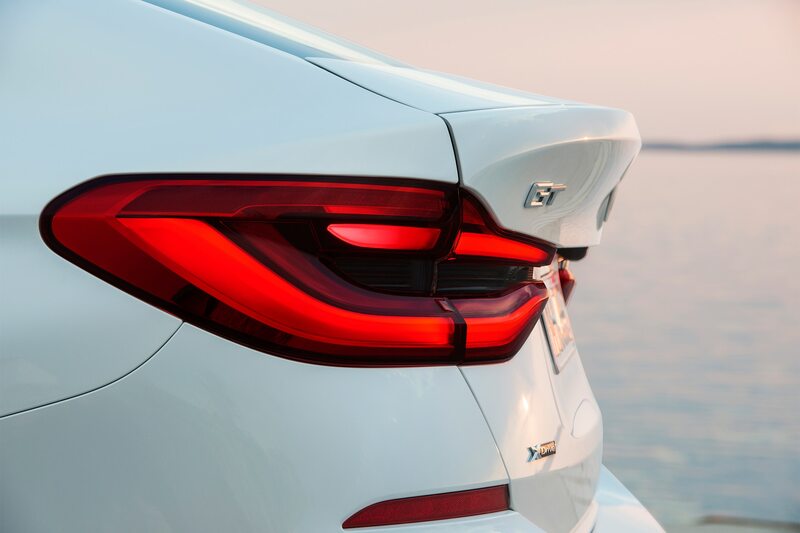 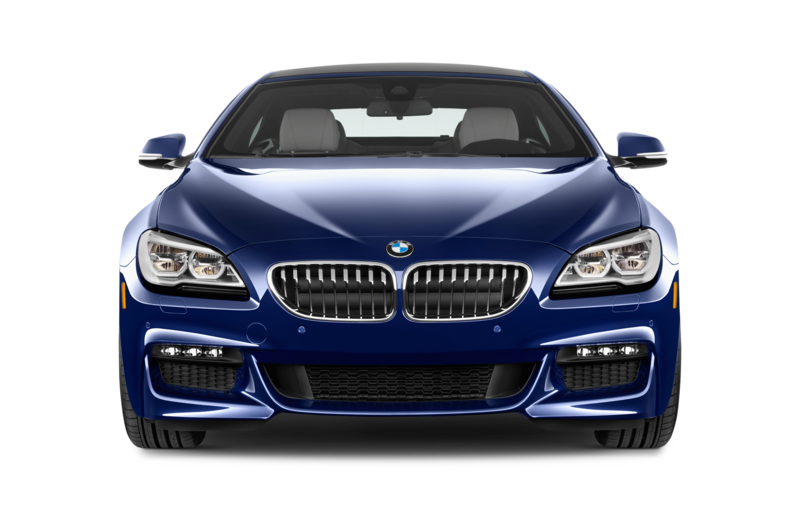 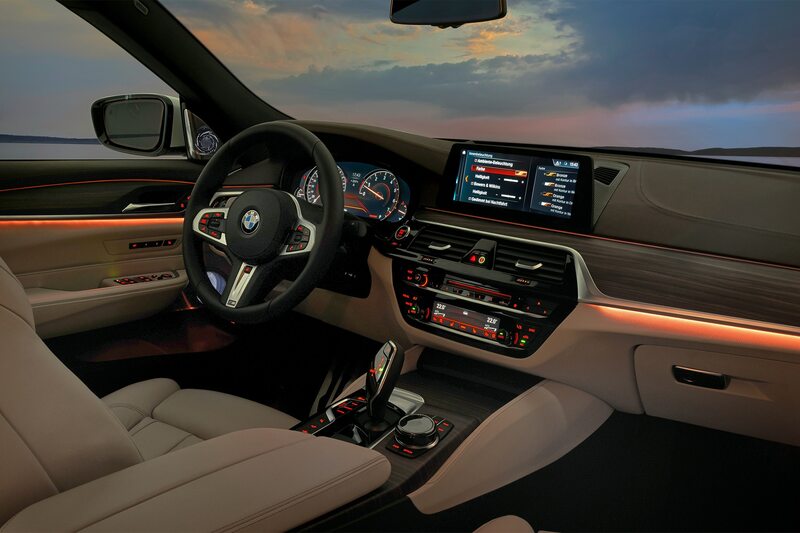 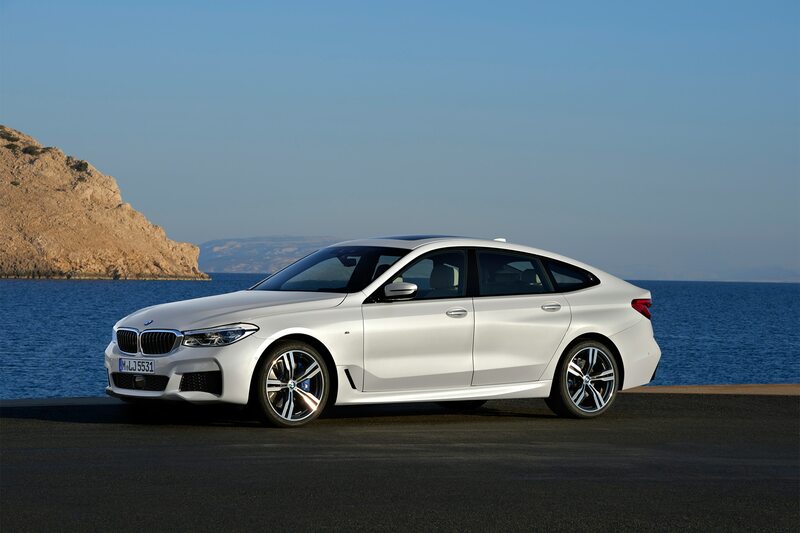 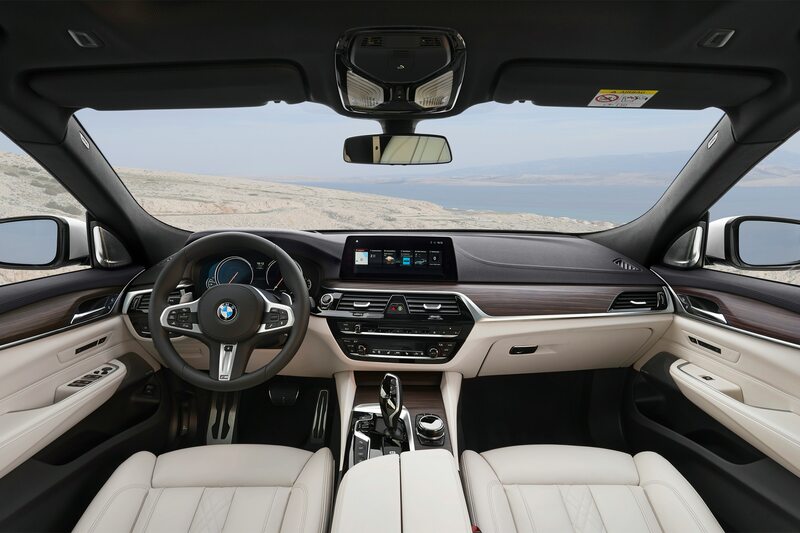 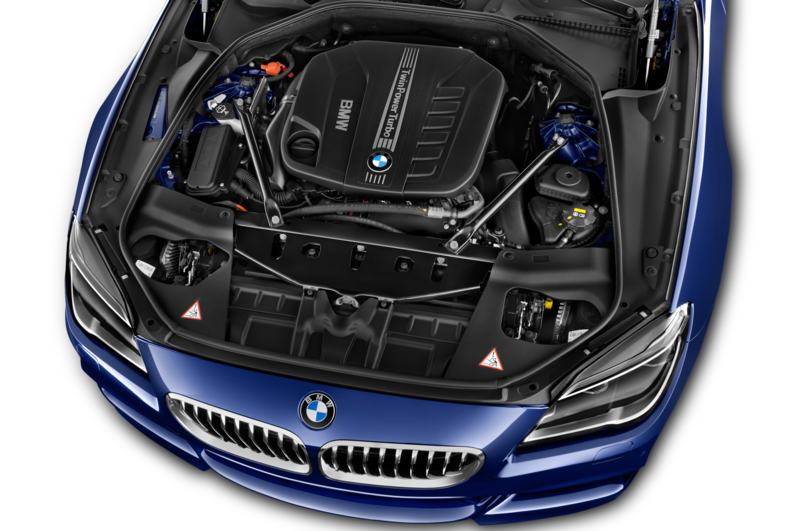 The 2018 BMW 640i xDrive GT will arrive in U.S. showrooms in the fall with a starting price of $70,695, a $7,000 increase over the 2017 535i xDrive GT justified in part by the new model’s extra standard equipment. 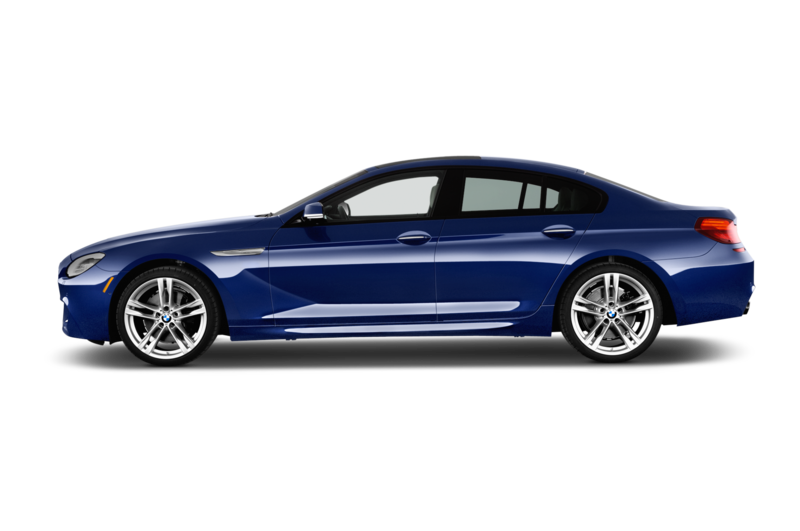 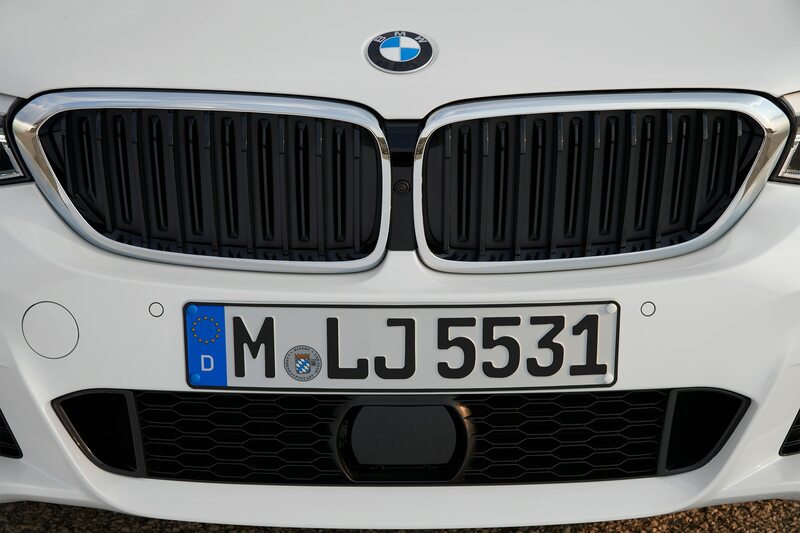 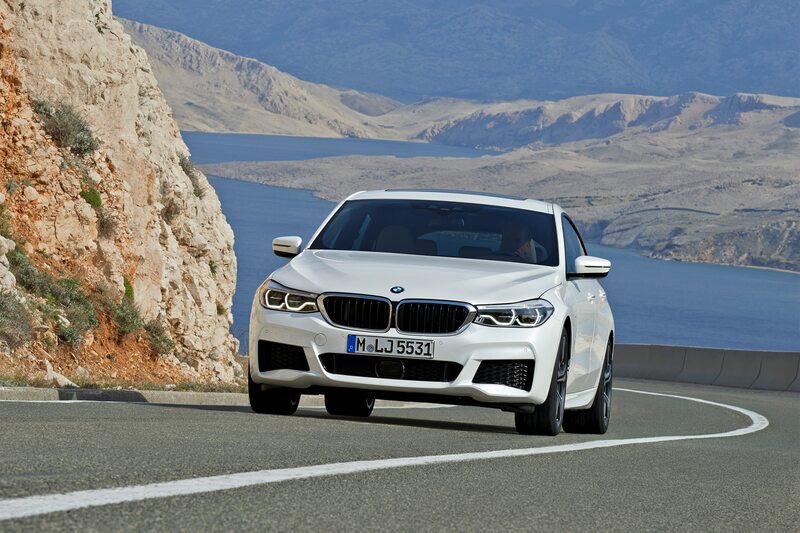 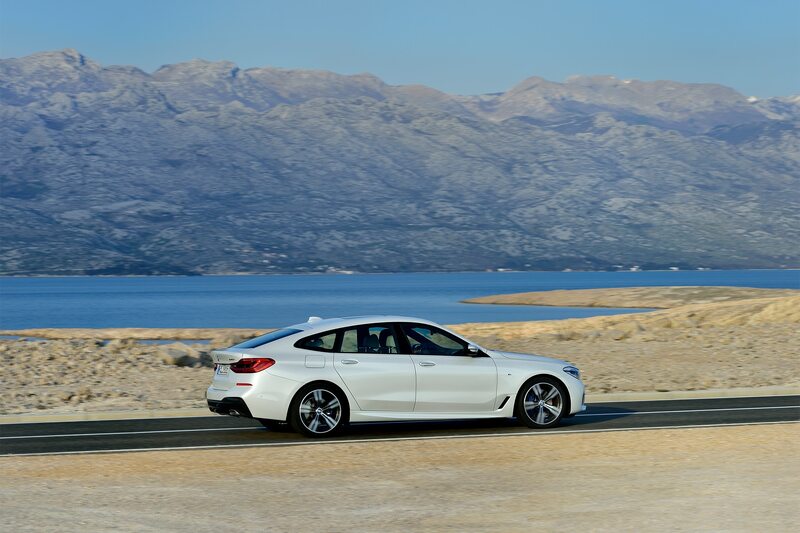 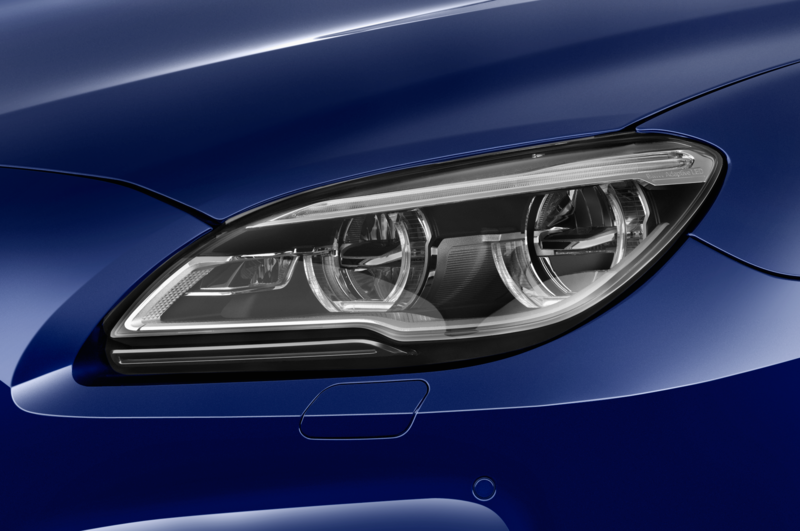 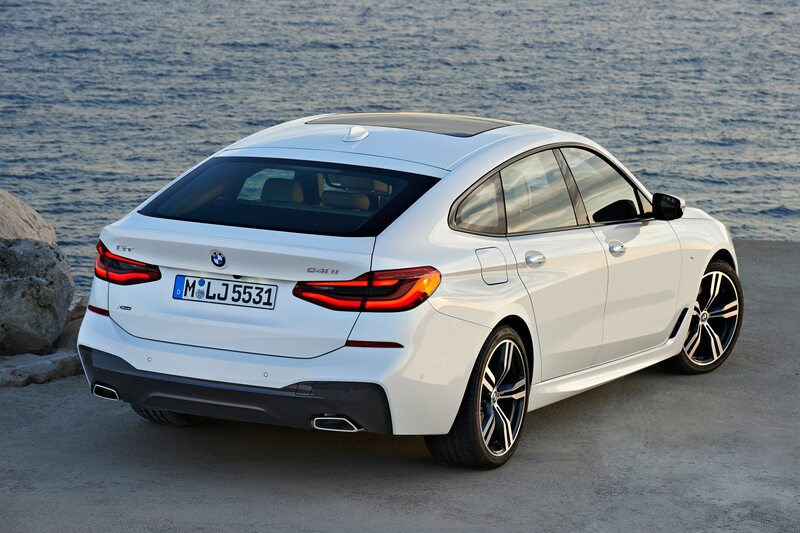 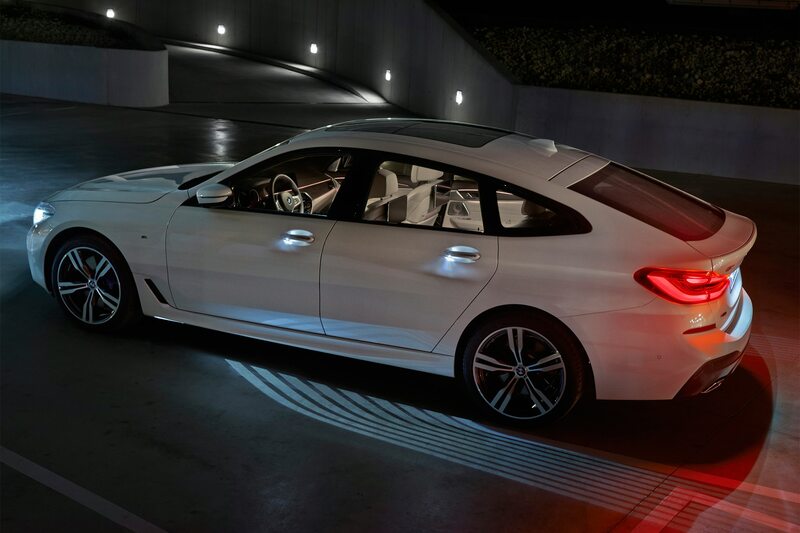 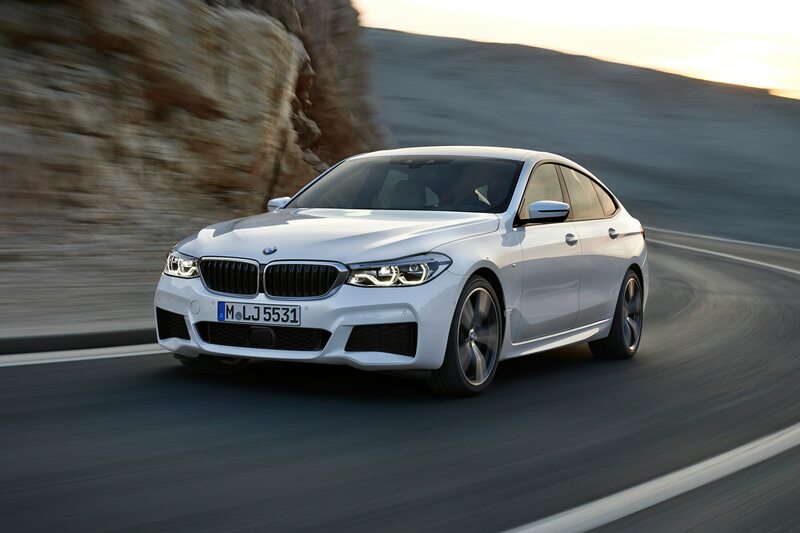 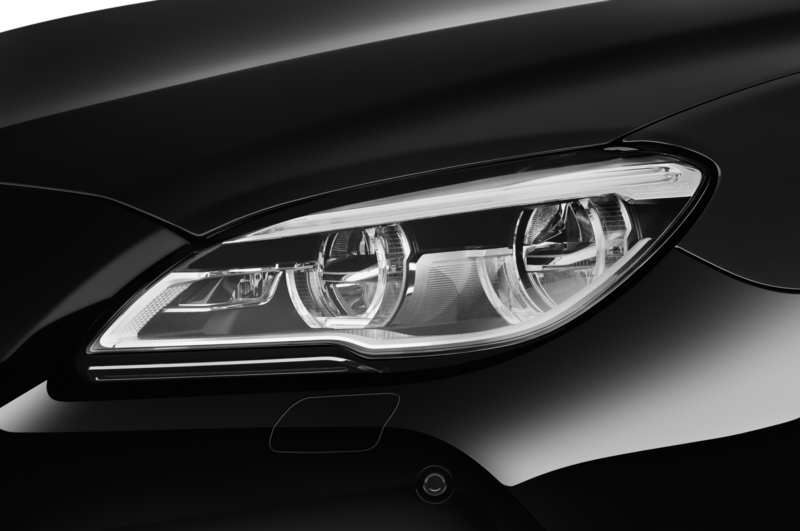 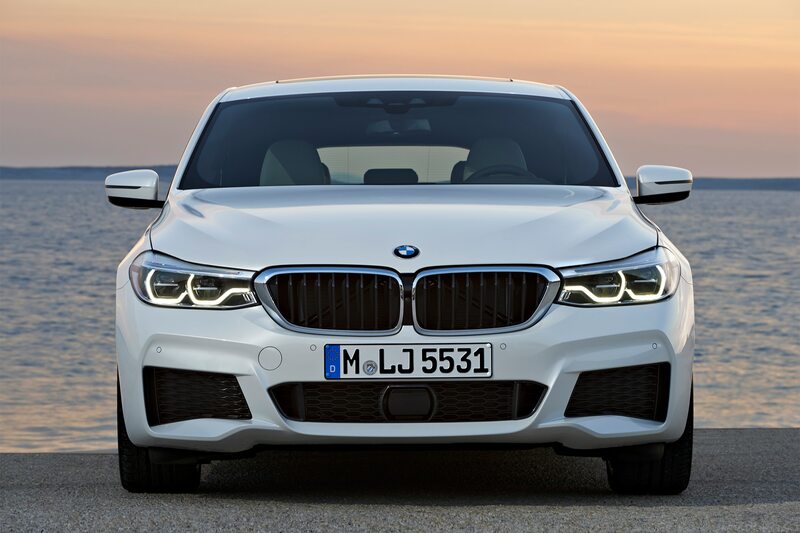 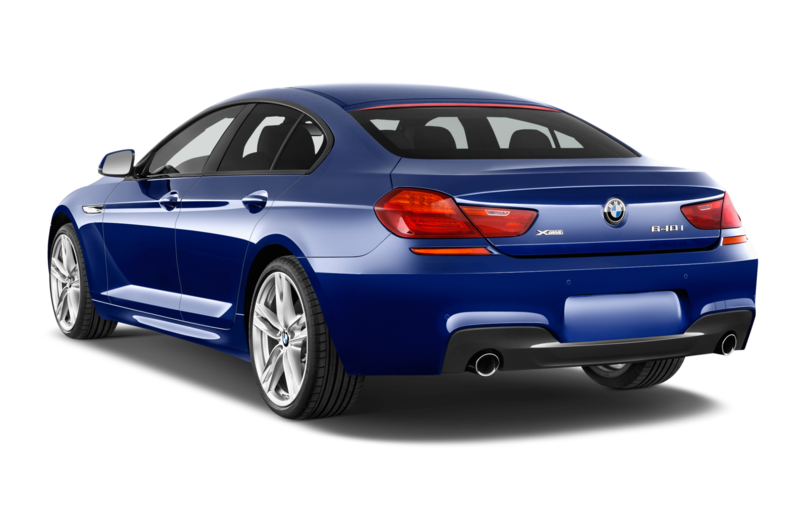 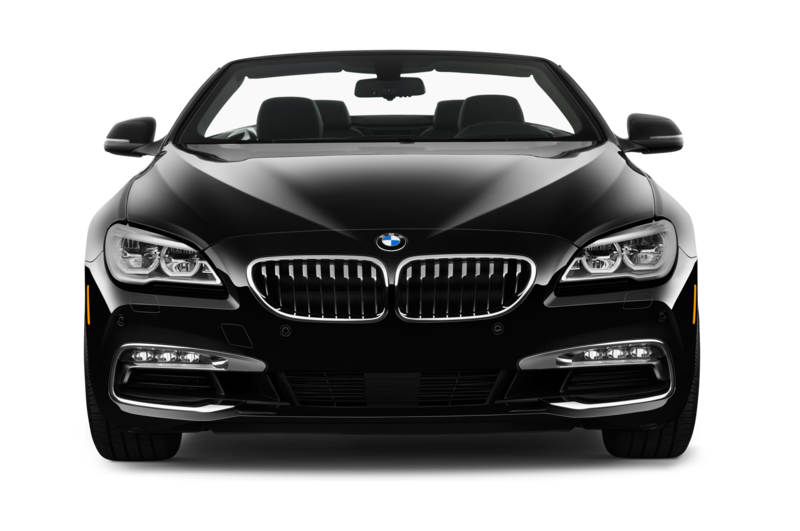 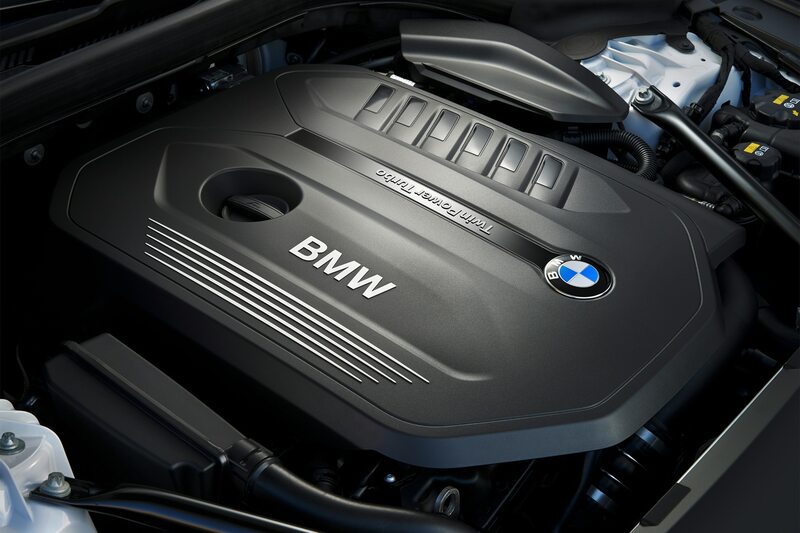 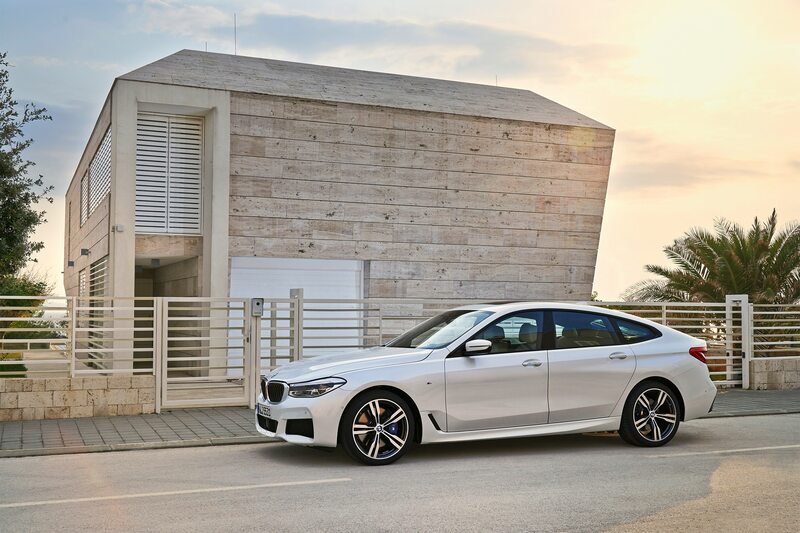 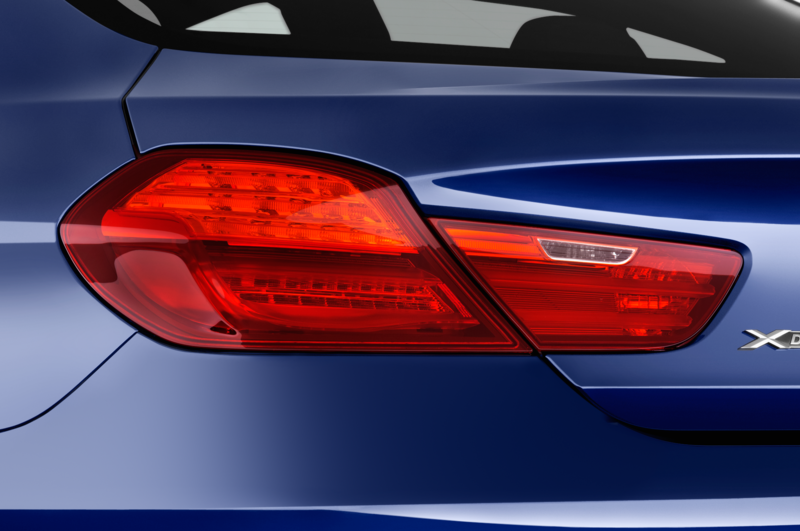 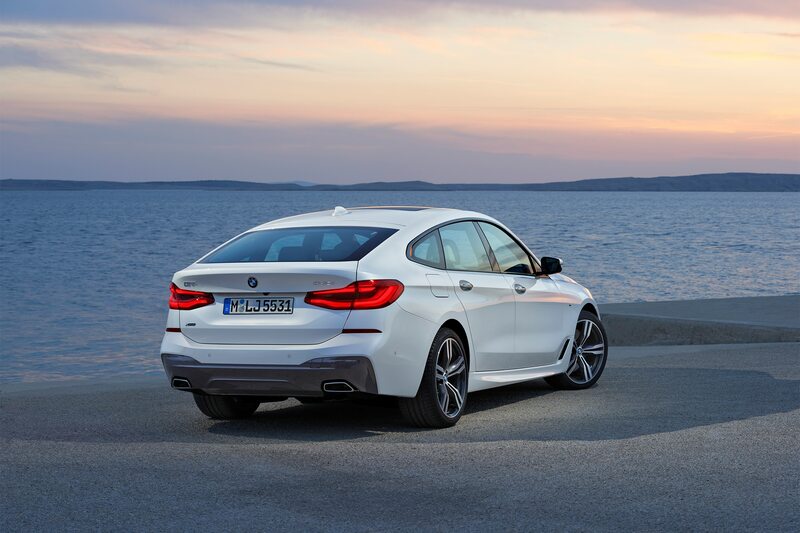 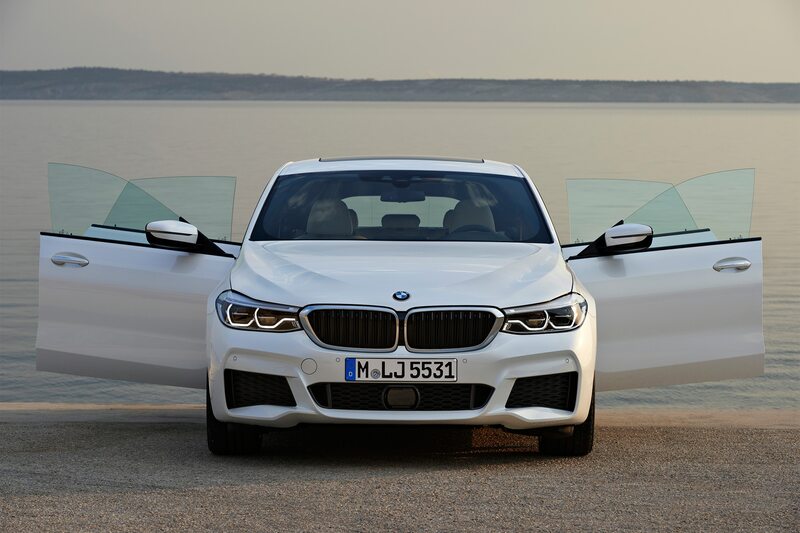 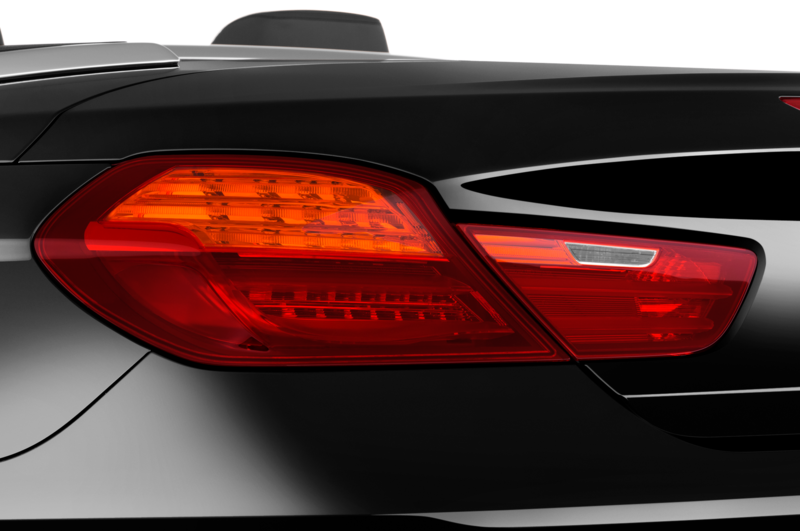 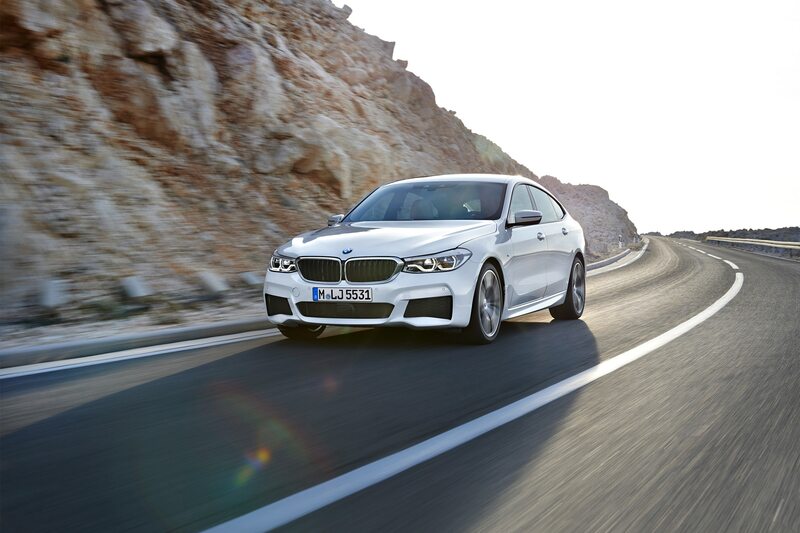 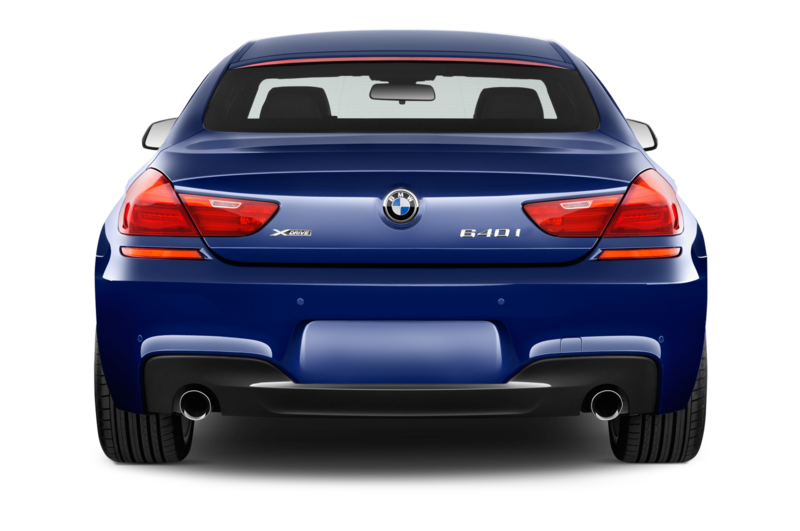 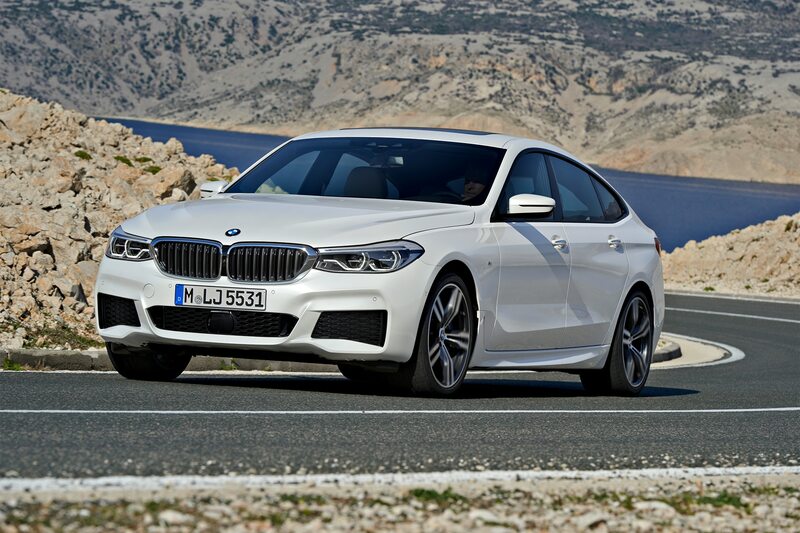 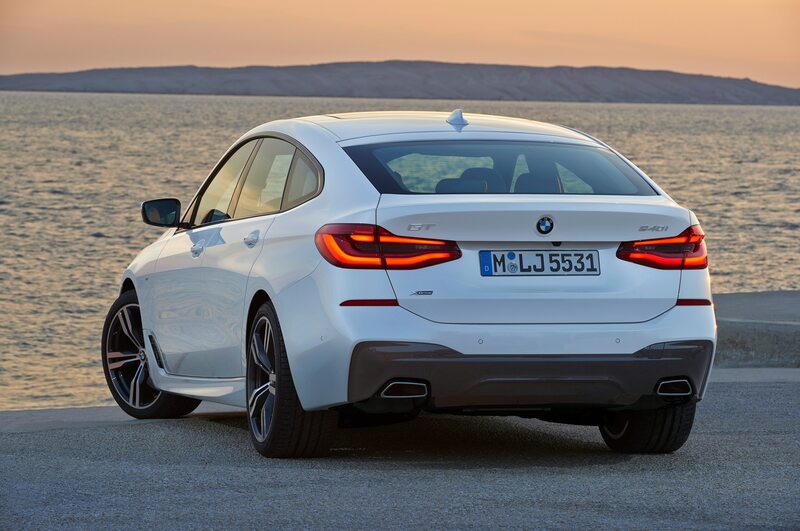 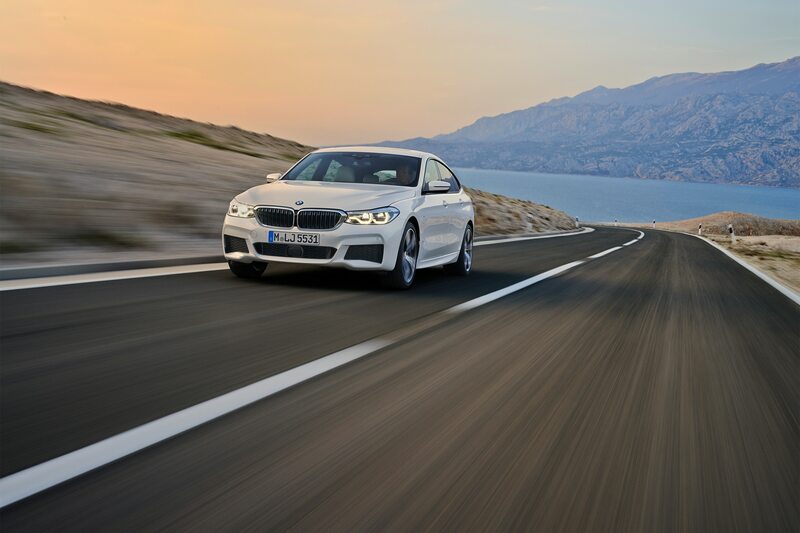 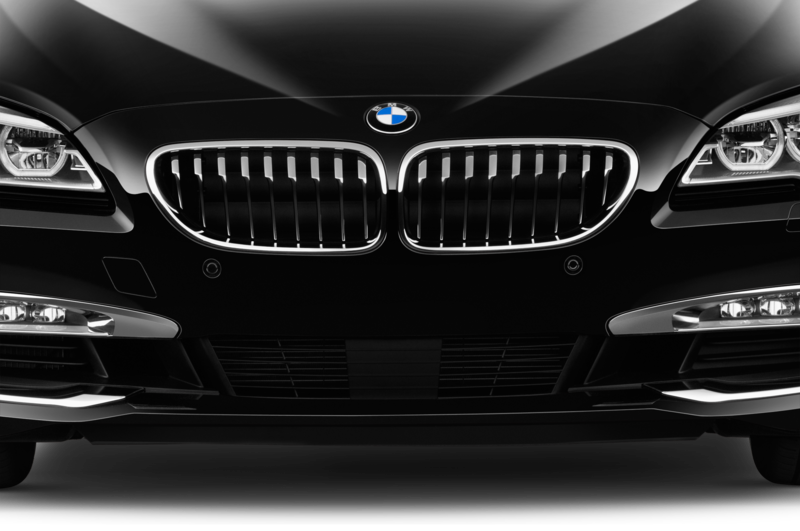 Additional variants should arrive in the coming years, along with other new 6 Series body styles. 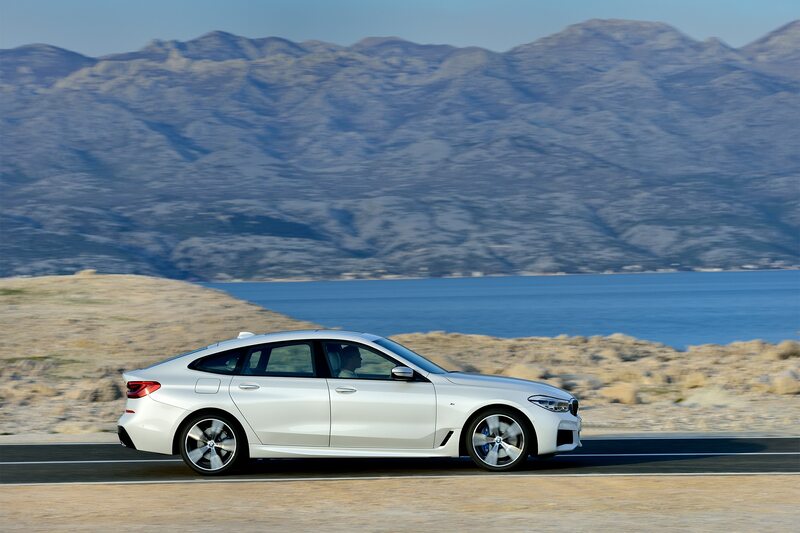 While the convertible will likely become an 8 Series like the coupe, the Gran Coupe will likely stick around.